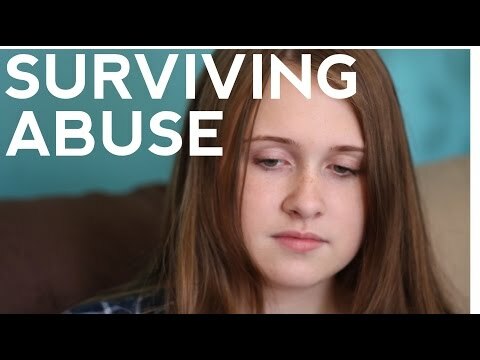 Ending the cycle of abuse. 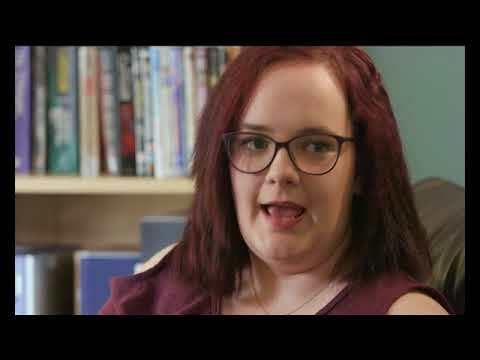 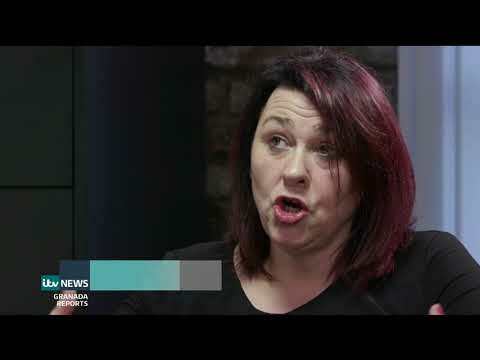 Nicole Sneddon (23) from Grangemouth, Stirlingshire shows young people the reality and responsibilities of being a young parent in this Fixers film. 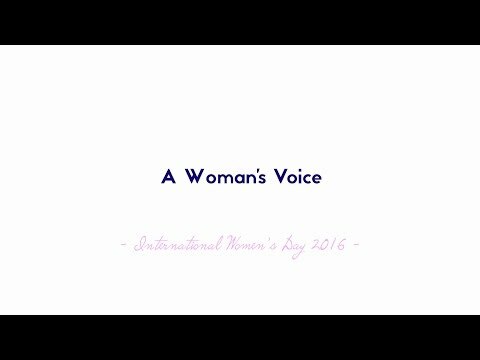 Standing up for gender equality. 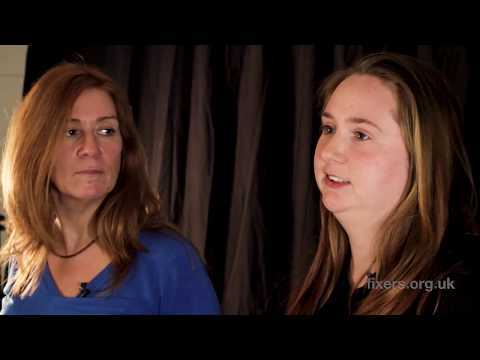 Showing the benefits of pole fitness. 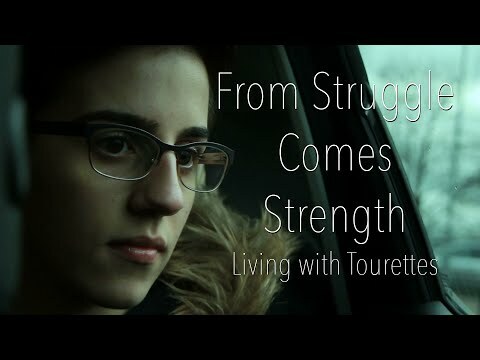 A film raising awareness about Tourette's. 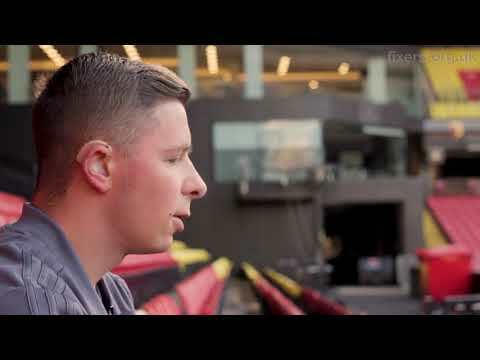 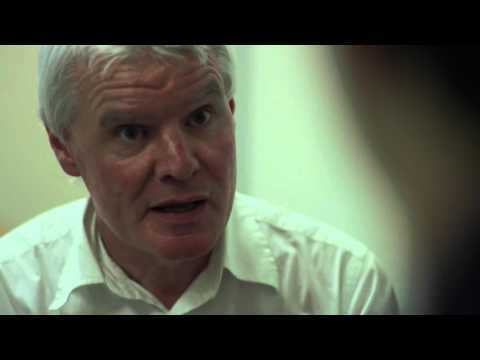 A film which encourages people with hearing loss to not let their disability hold them back. 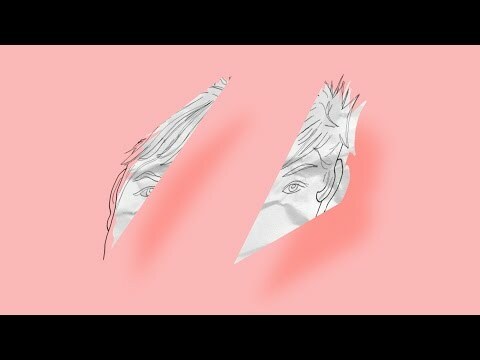 A short animation to get more people interested in politics. 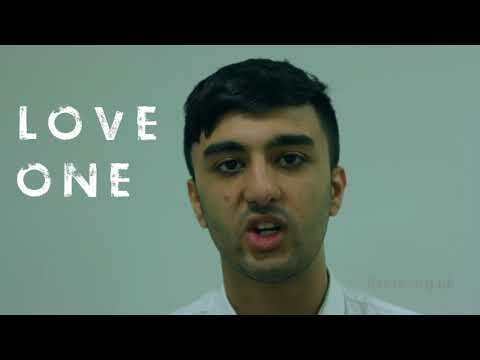 A short film aimed at tackling Islamophobia. 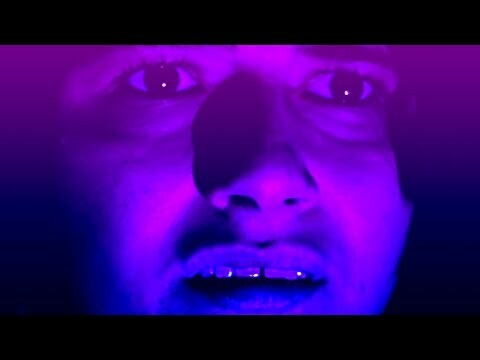 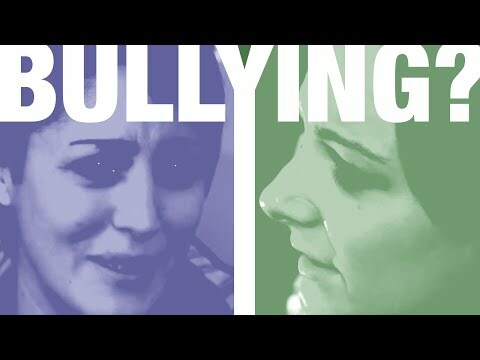 A short film about cyberbullying. 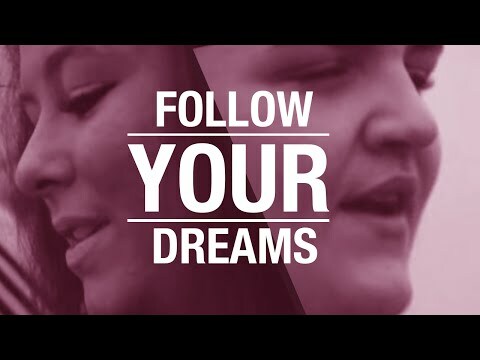 A film encouraging people to never give up on their dreams. 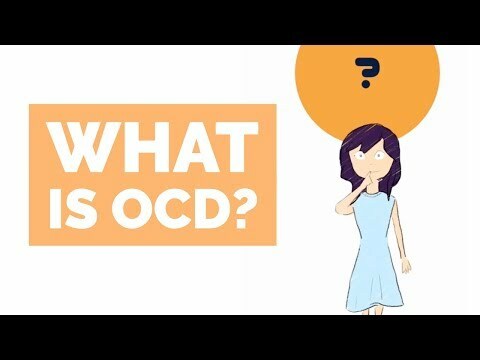 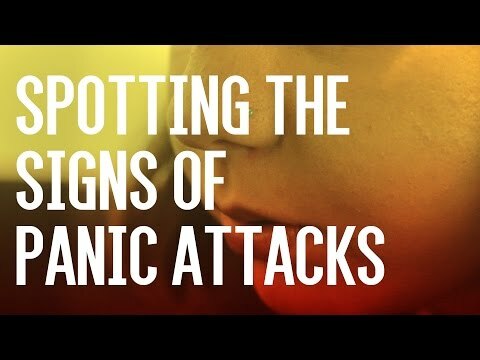 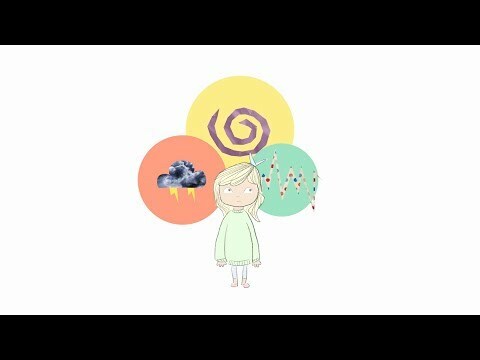 A short film showing how panic attacks can affect people in different ways. 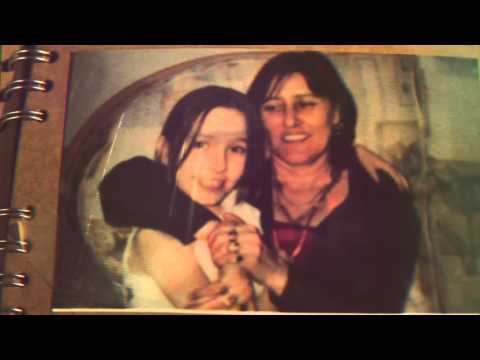 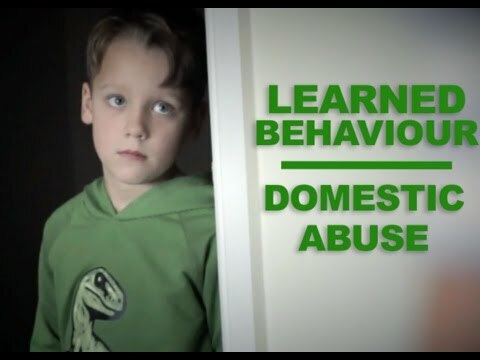 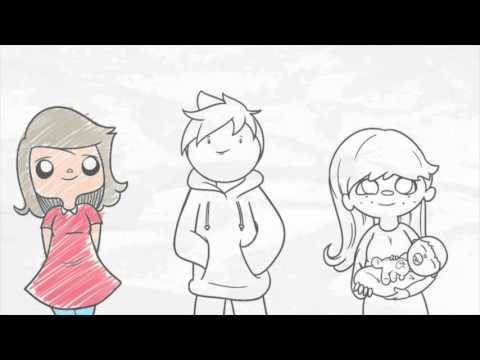 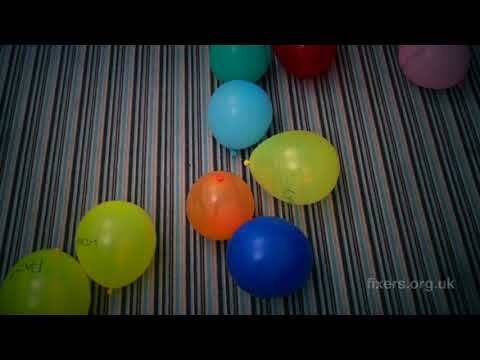 A short film showing the impact of domestic abuse on the lives of children. 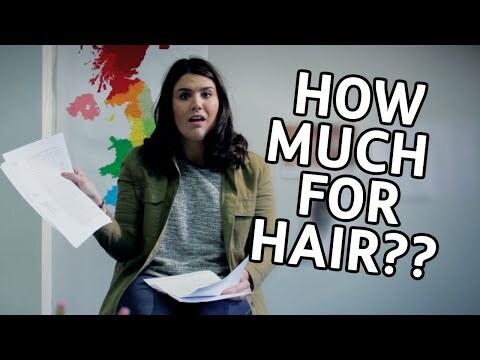 A short film calling for more support for those with alopecia. 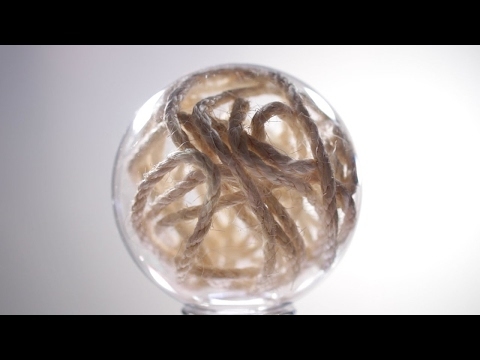 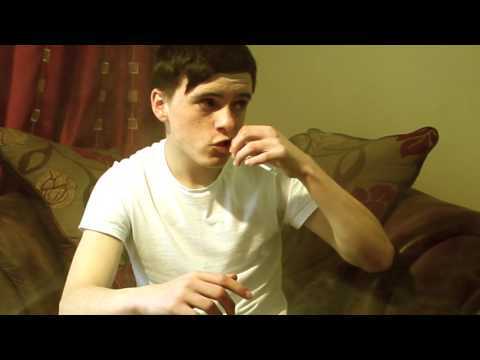 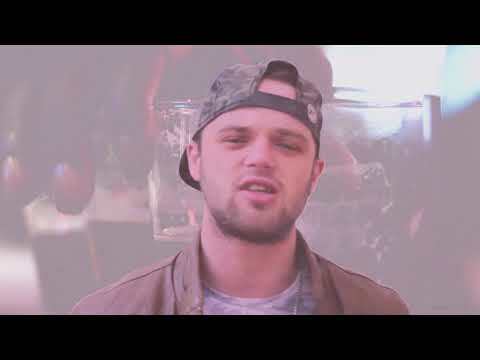 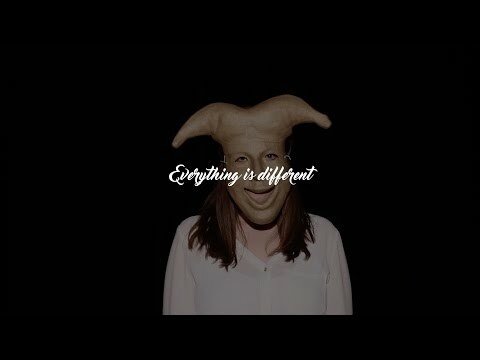 A short film looking at the dangers of new psychoactive substances. 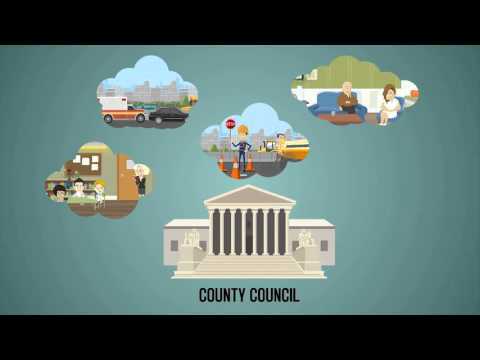 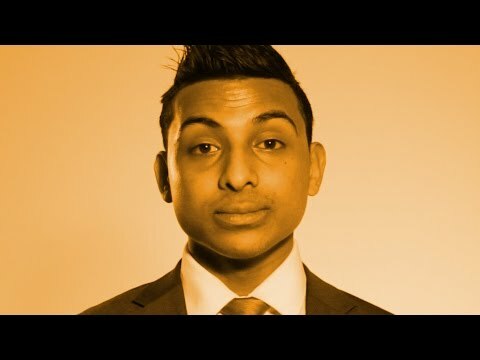 A short film encouraging employers to give young people a chance. 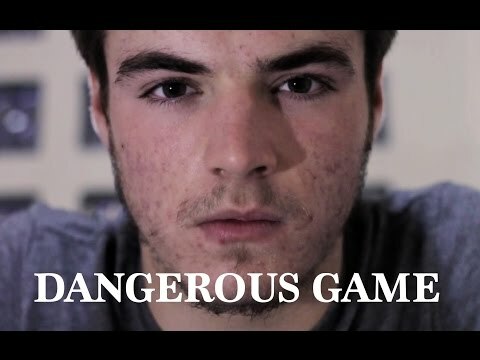 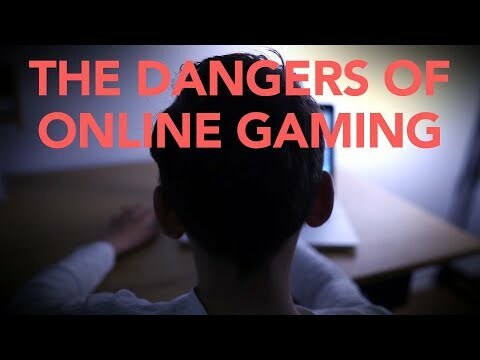 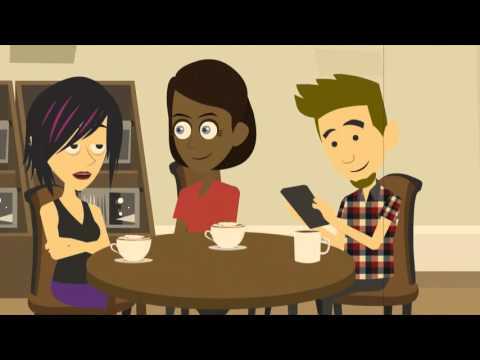 A short film warning young people about the dangers of social media challenges. 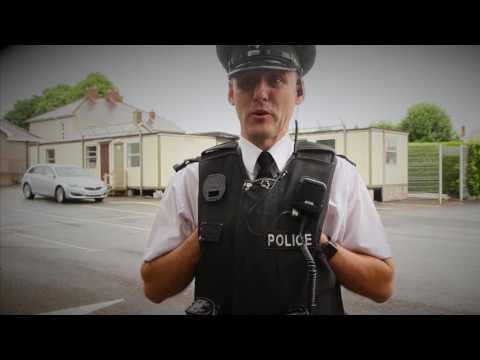 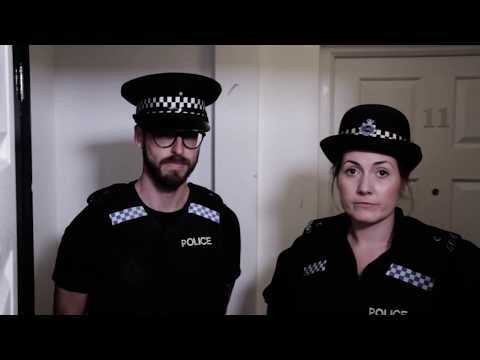 A short film showing young people the importance of home security. 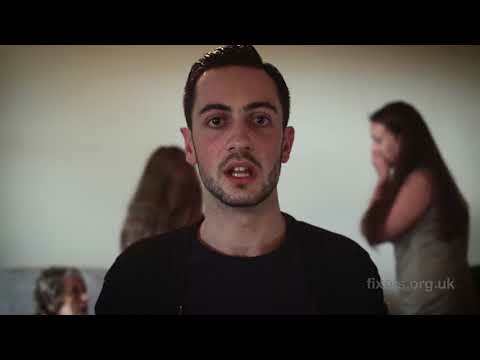 A short film challenging misconceptions around eating disorders. 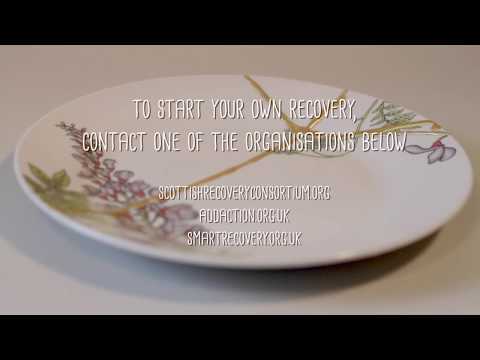 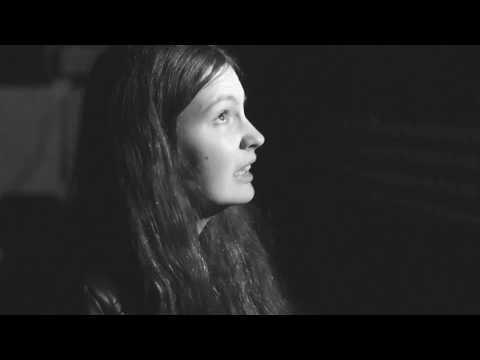 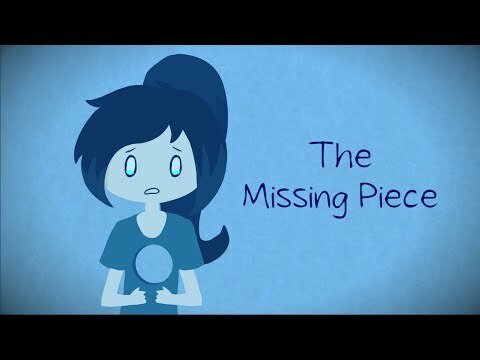 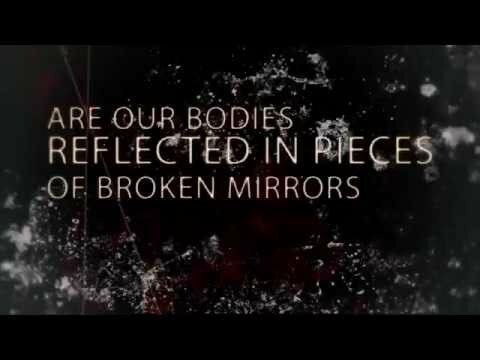 A short film raising awareness of anorexia. 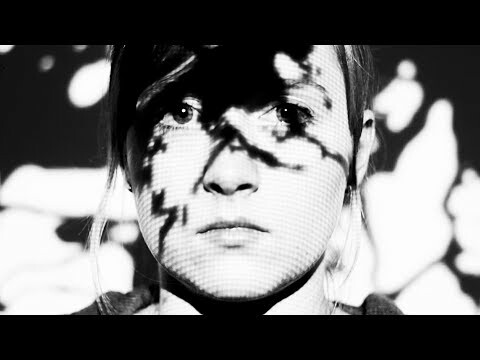 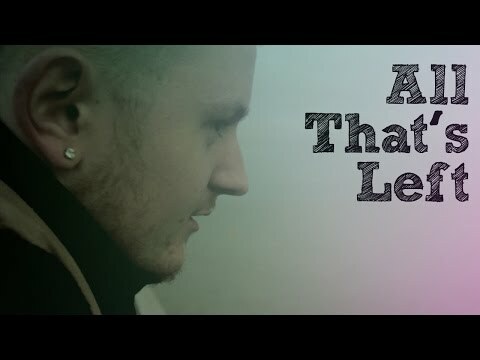 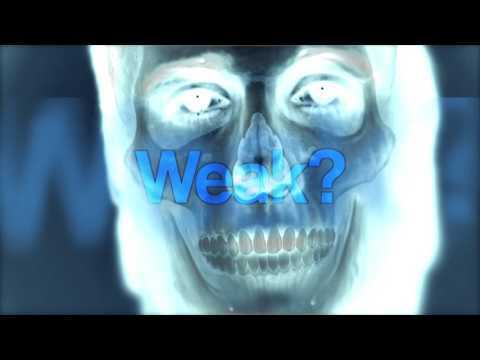 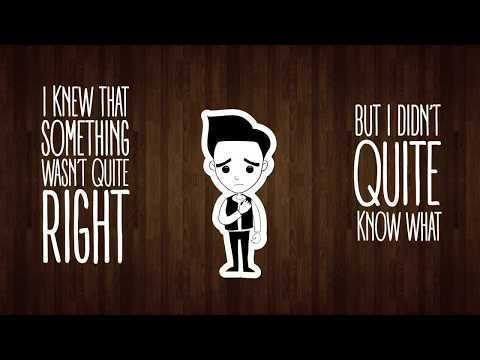 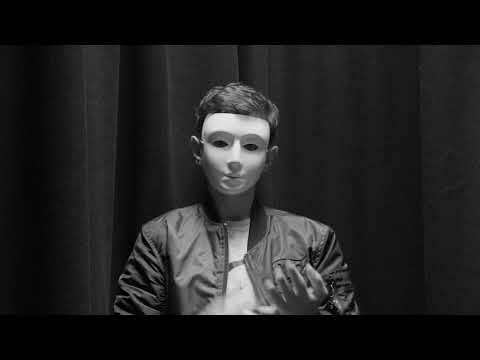 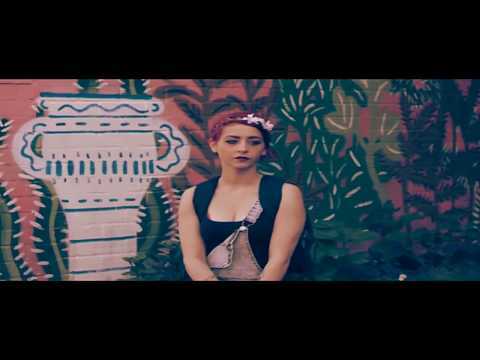 A music video about dealing with bereavement. 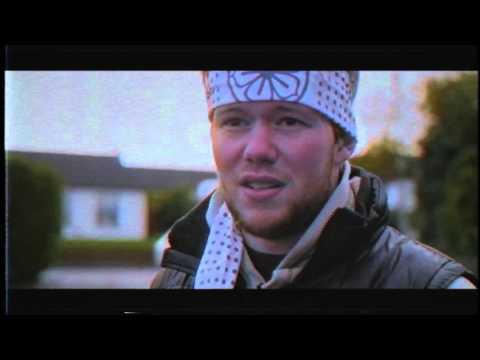 A short film about suicide in Northern Ireland. 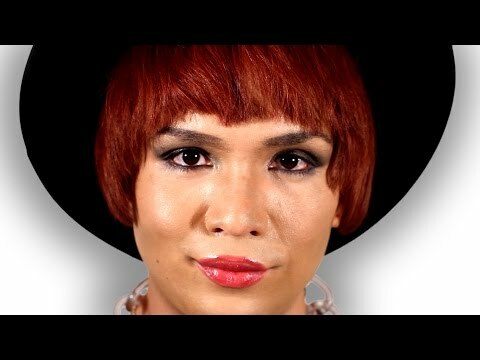 A short film encouraging people who are transgender to be proud of themselves. 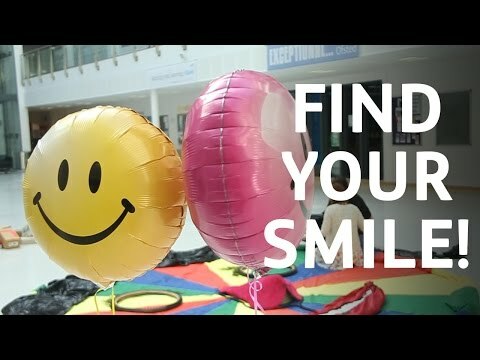 A short film which looks at the link between success and happiness. 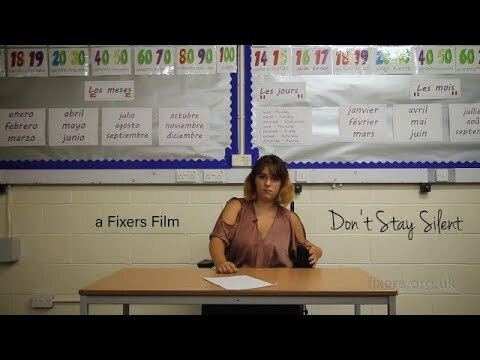 A short film aiming to empower young women. 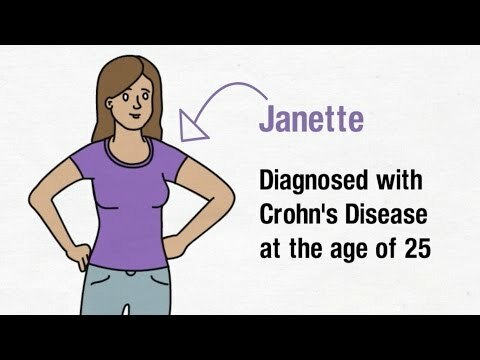 A short film which explains more about Crohn's disease. 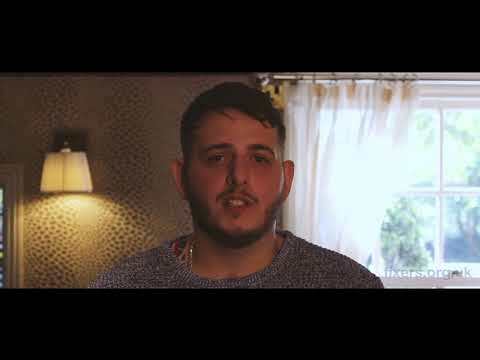 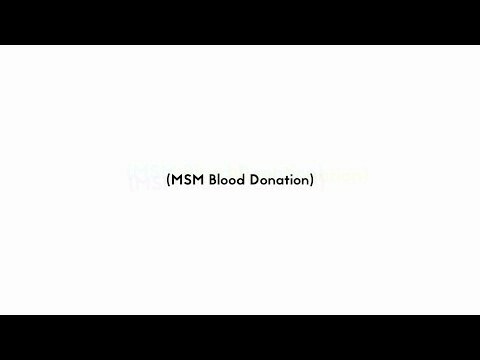 A short film which calls for the 12 month ban on gay men donating blood to be lifted. 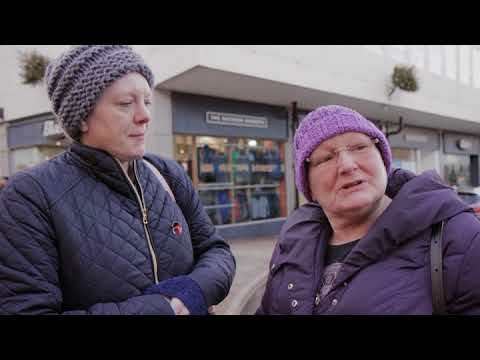 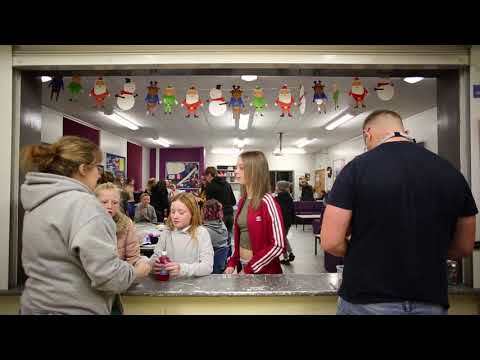 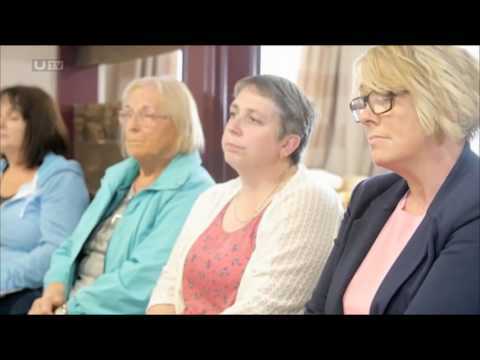 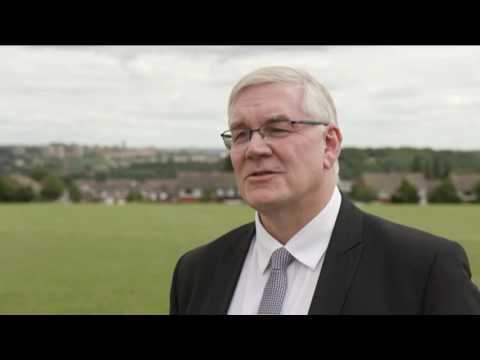 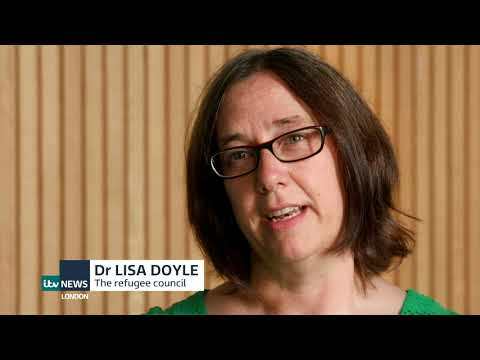 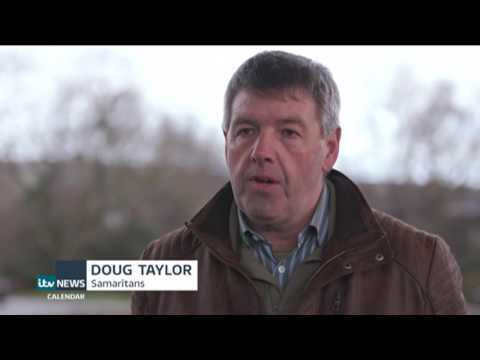 A short film about volunteering in Easterhouse, Glasgow. 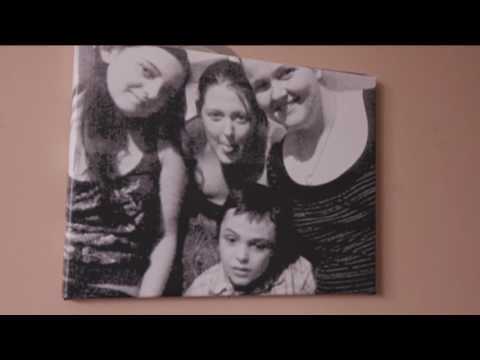 A short film about the lives of Young Carers. 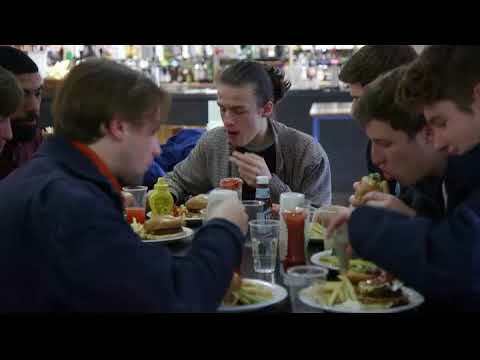 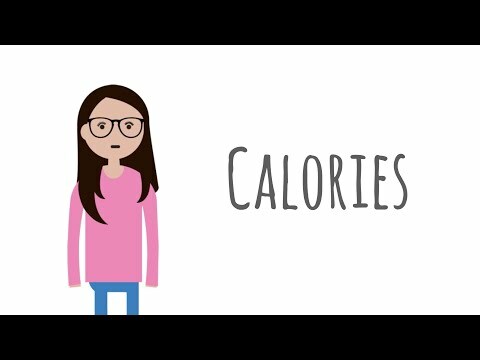 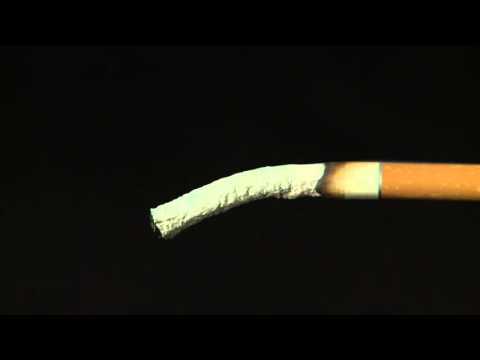 A short film showing that calories aren't the enemy. 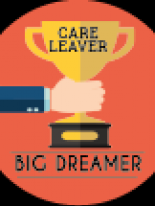 Young people in care matter. 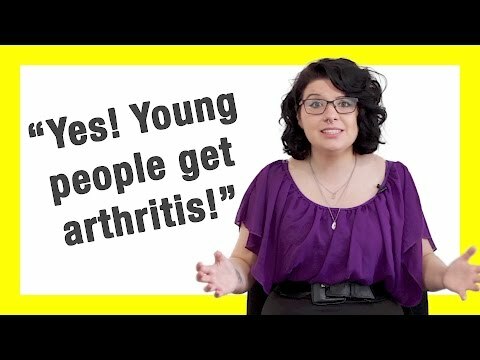 The benefits of martial arts. 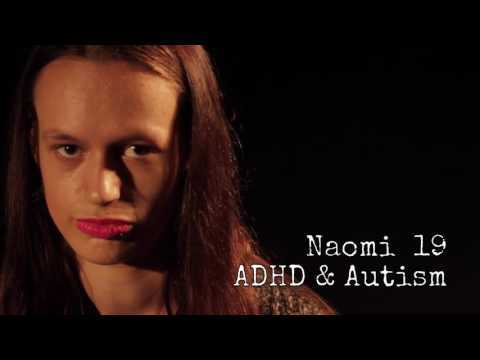 A film which raises awareness of ADHD. 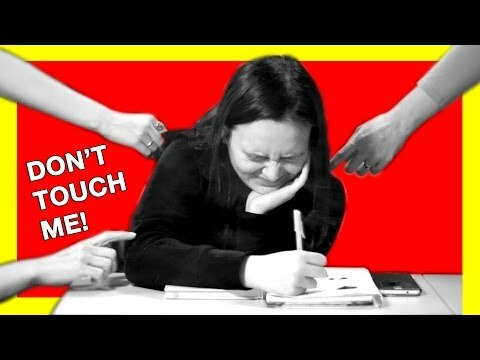 The pressure to be perfect. 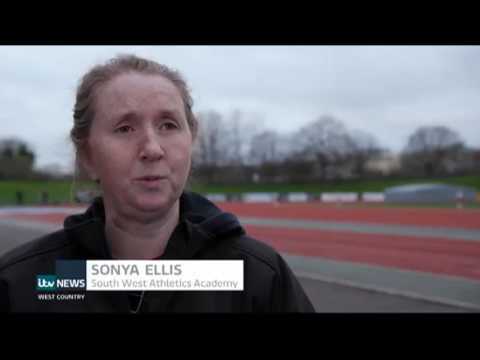 Showing the potentially damaging impact of anabolic steroids. 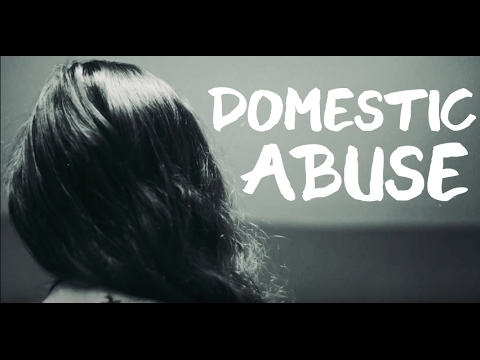 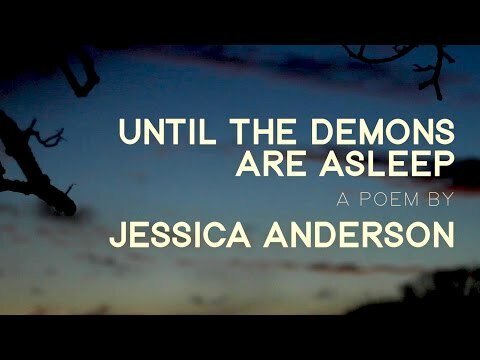 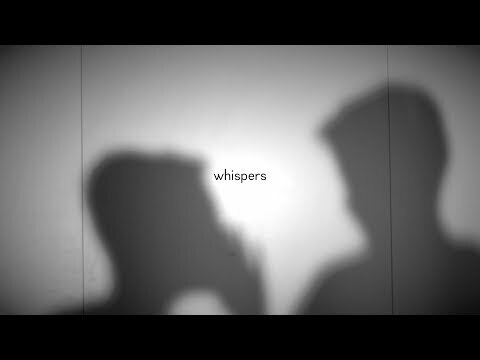 A short film about the negative impact of an abusive relationship. 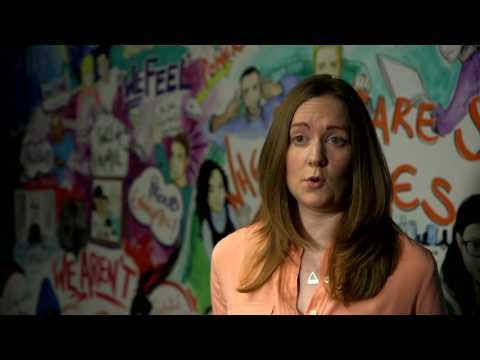 Calling on decision-makers to improve youth services. 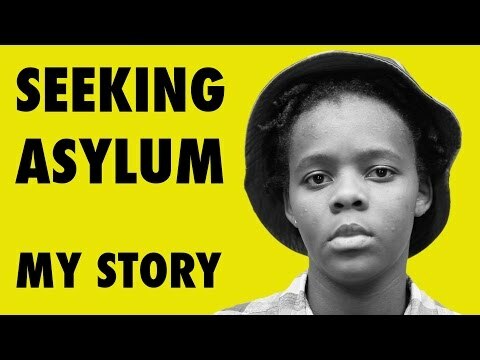 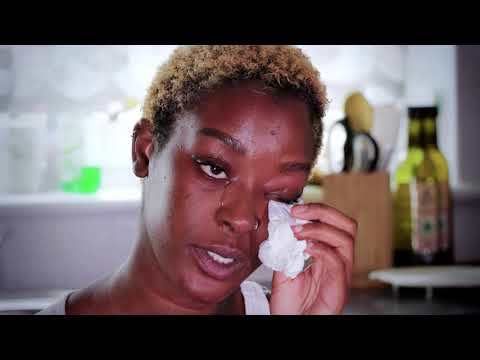 A short film highlighting the prejudice faced by LGBT communities in homophobic countries and the importance for victims to be able to claim asylum. 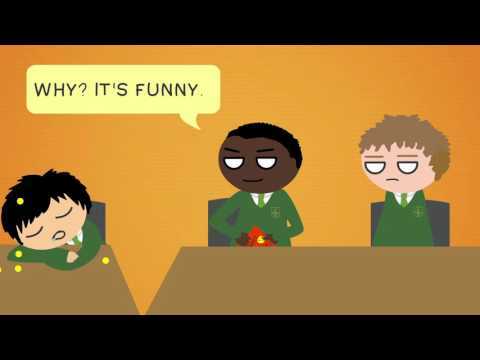 Homophobia is no laughing matter. 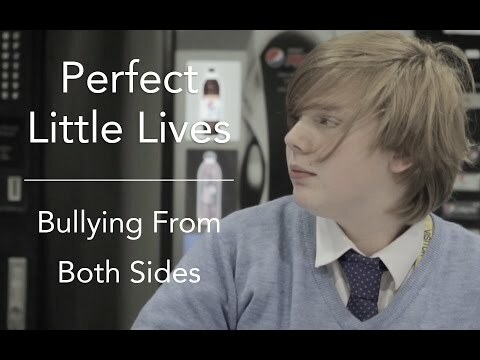 A film showing young people how to behave in different situations. 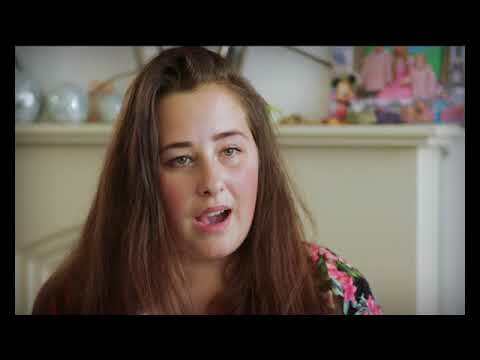 Challenging negative stereotypes of young mums. 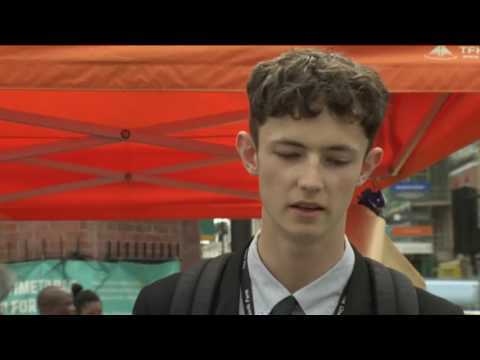 Campaigning for an end to discrimination. 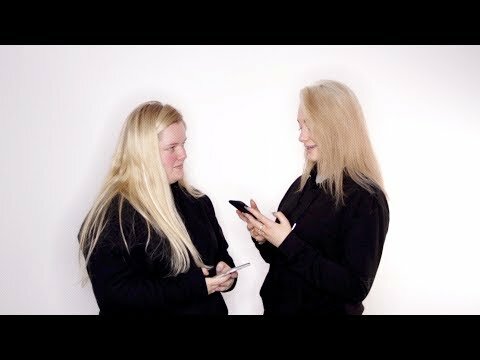 Spotting the signs of an unhealthy relationship. 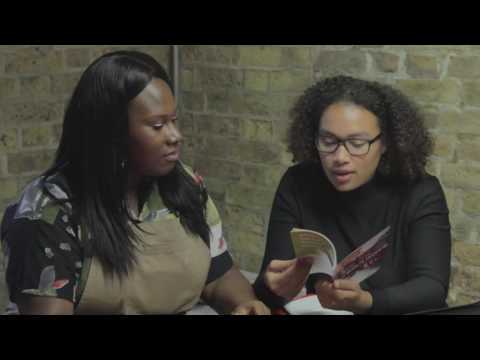 Female Genital Mutilation survivors working with Fixers share their harrowing testimonies in a film designed to promote understanding and awareness among midwives. 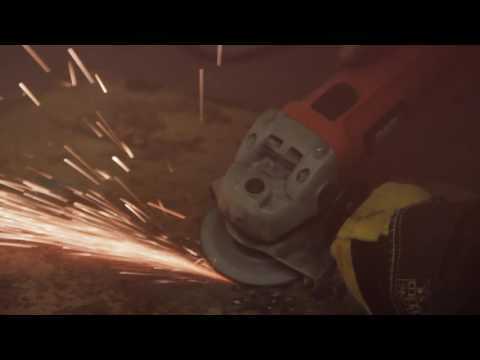 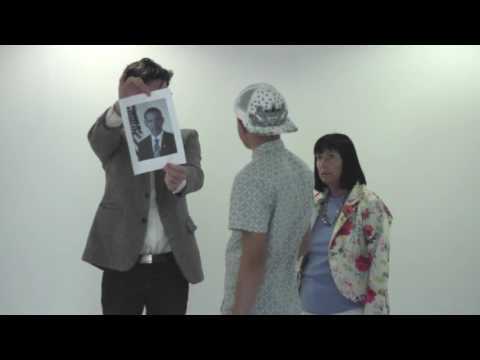 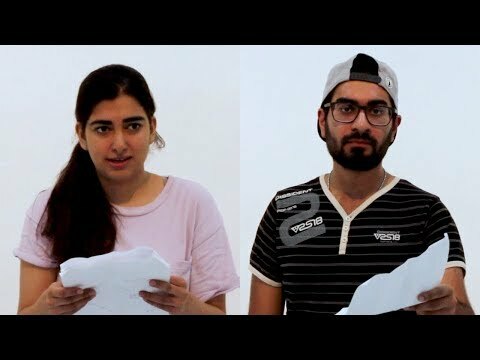 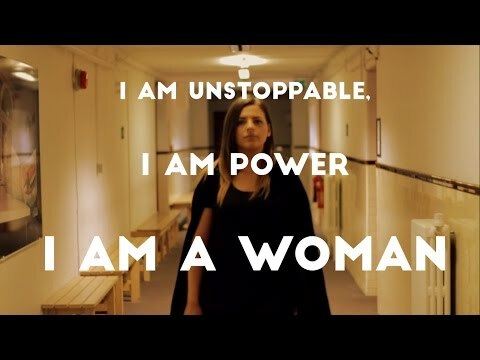 A short film challenging gender stereotypes in the workplace. 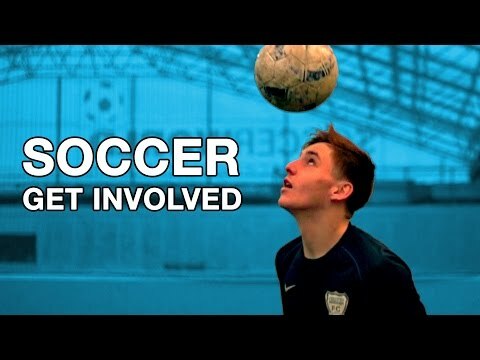 A short film encouraging people to get involved in sports. 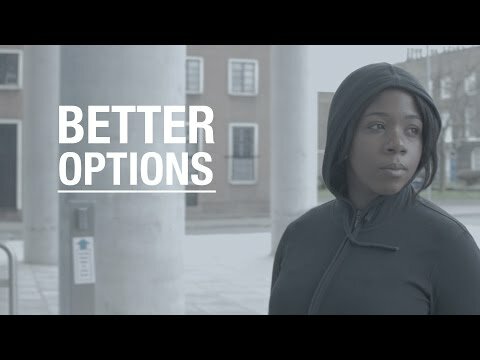 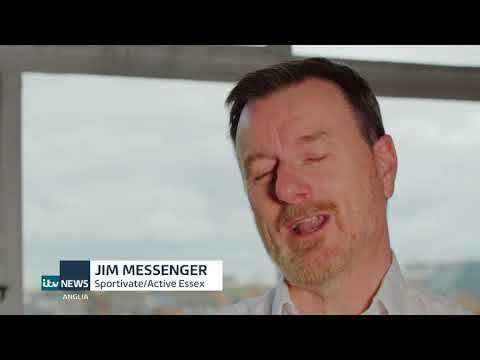 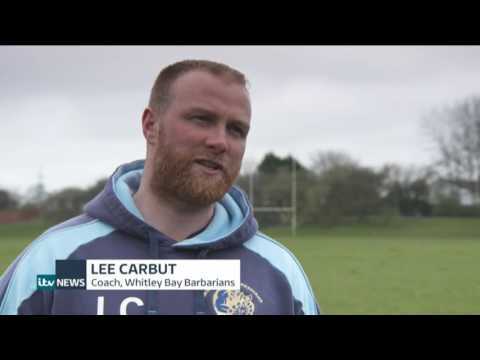 A short film about the benefits of playing sport. 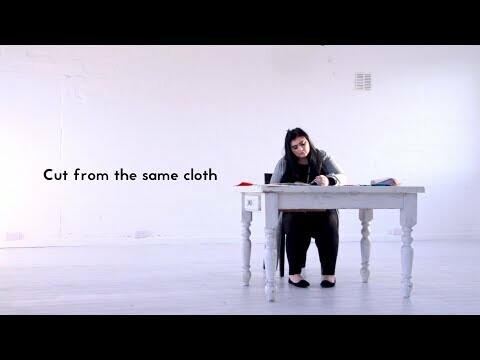 A short film challenging regional stereotypes. 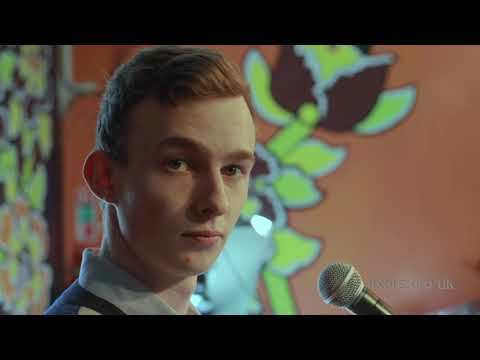 A film encouraging those with mental health issues to speak out. 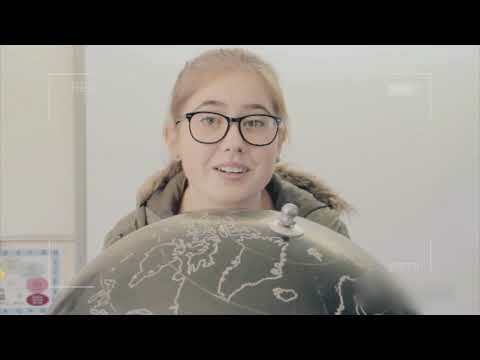 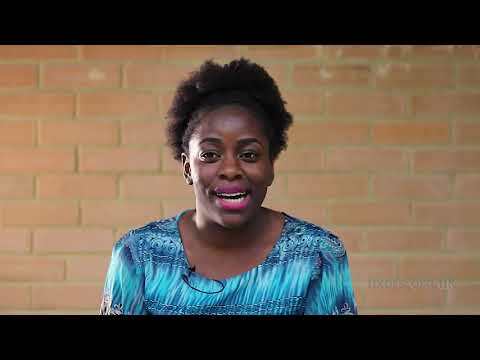 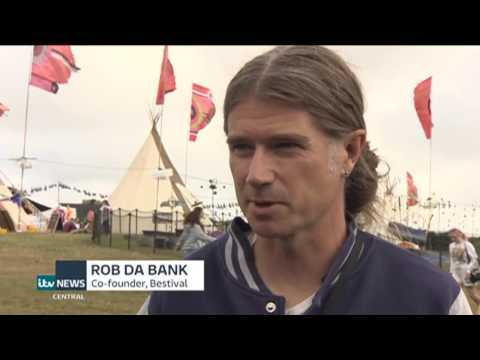 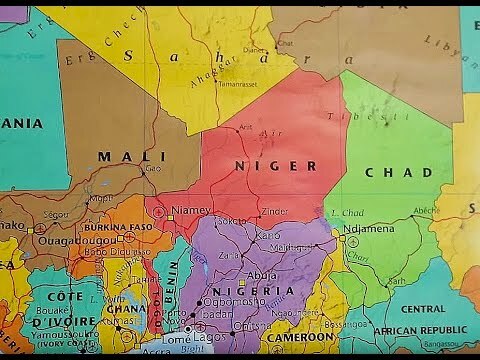 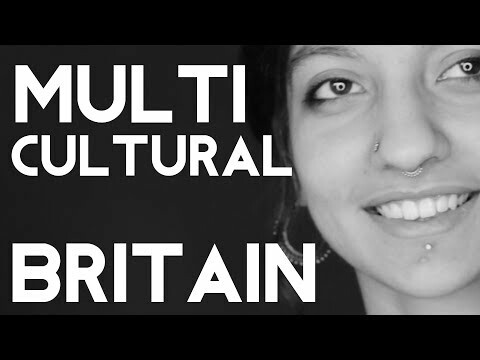 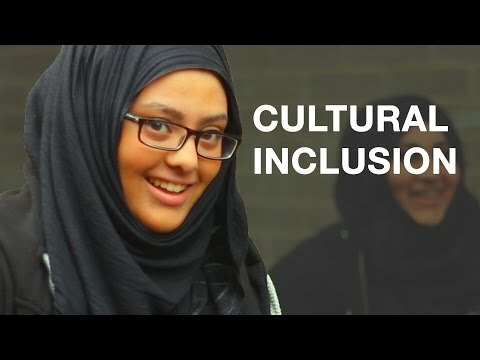 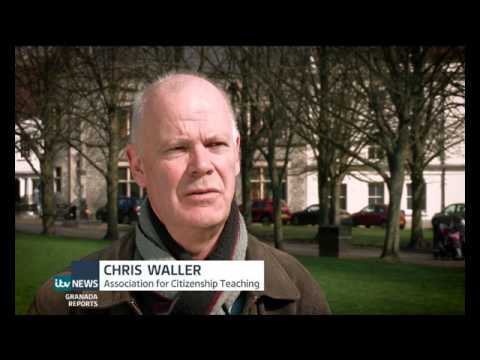 A short film showing the benefits of cultural inclusion. 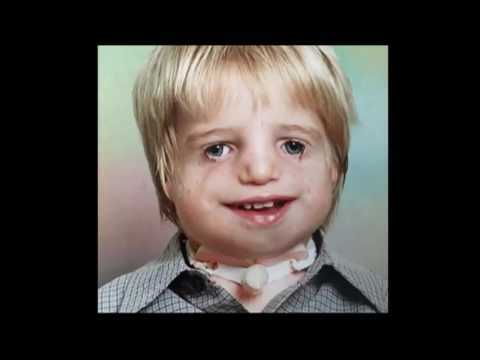 Supporting people with Mayer-Rokitansky-Kϋster- Hauser (MRKH) syndrome. 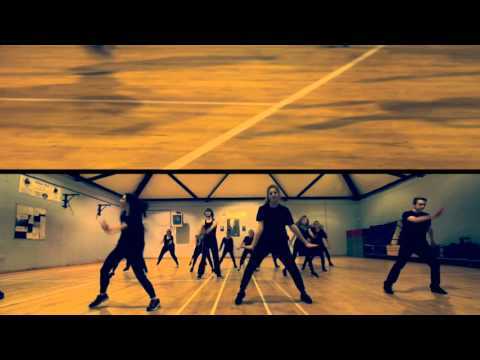 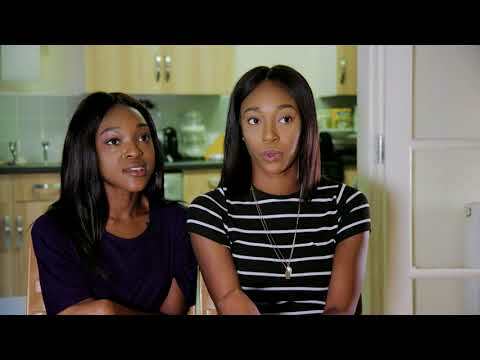 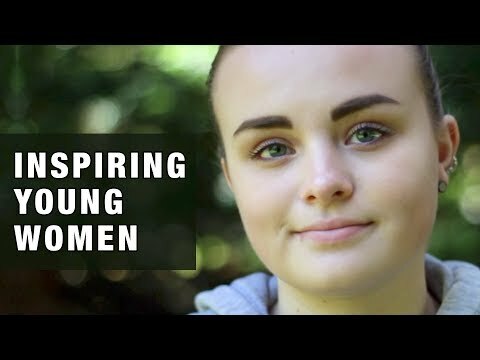 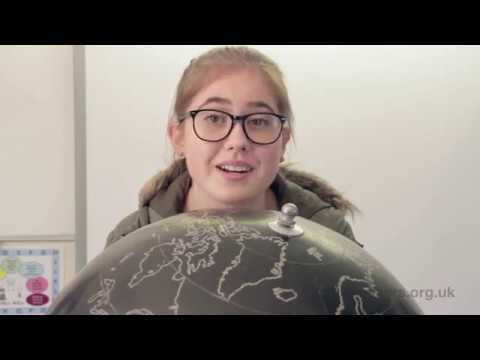 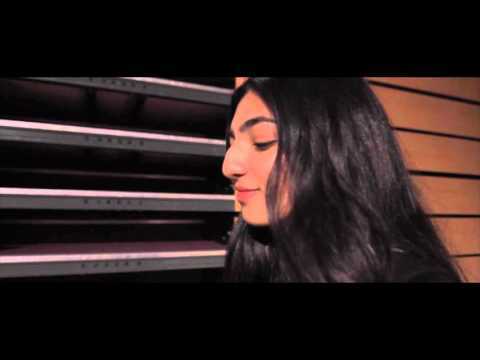 A short film which encourages young women to be confident in themselves. 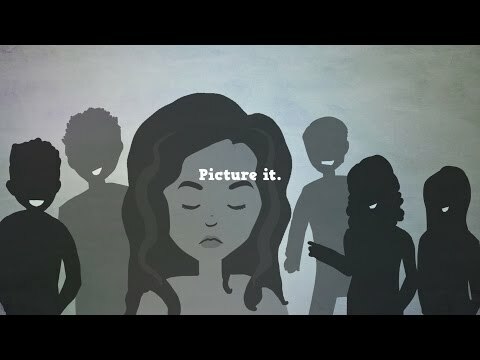 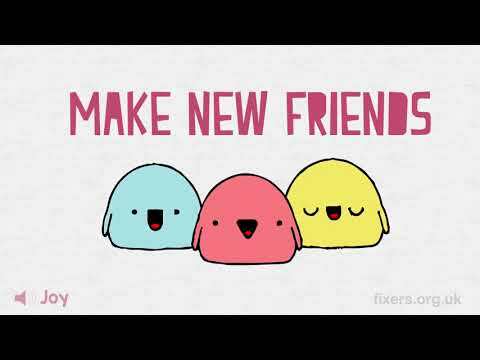 A short film promoting positive body image. 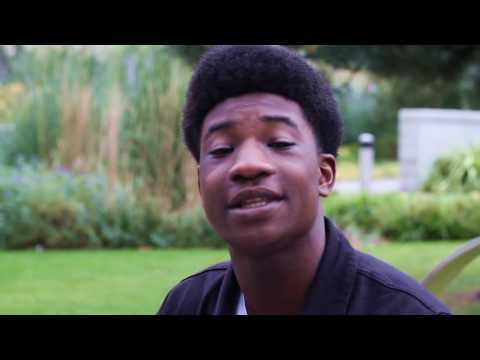 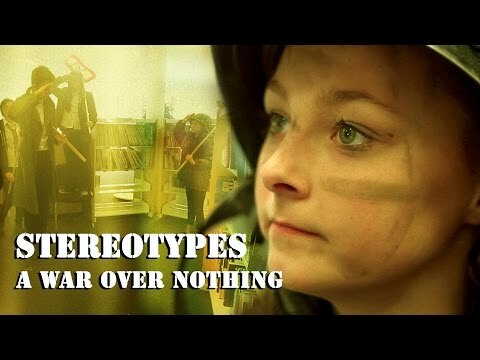 A short film which encourages young people to ignore negative stereotypes and fulfil their potential. 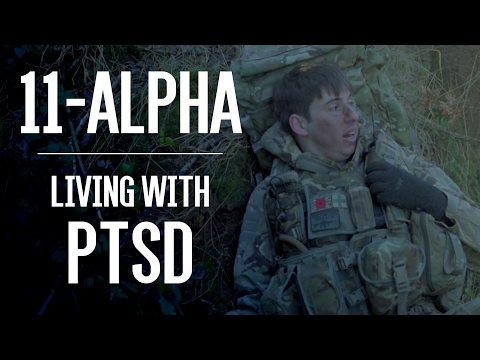 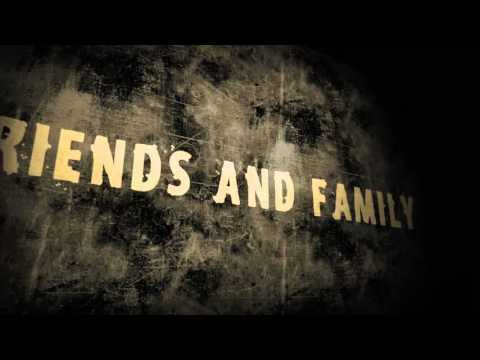 A short film encouraging people to show more respect to army veterans. 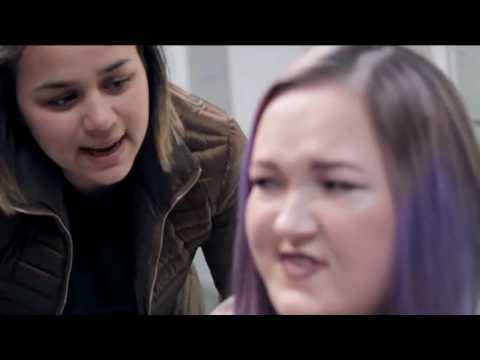 A short film helping teenagers make the transition from school to college. 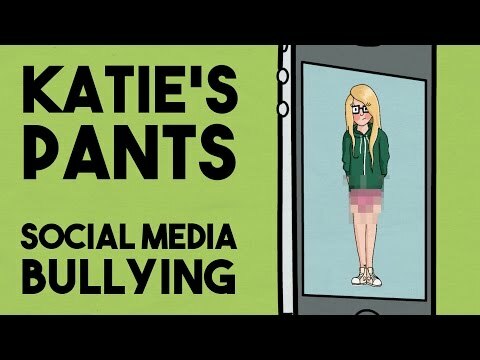 A short film encouraging people to stand up to trolls. 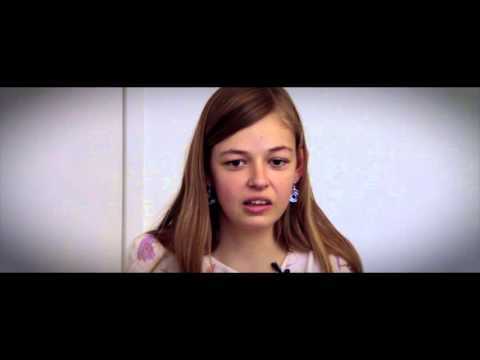 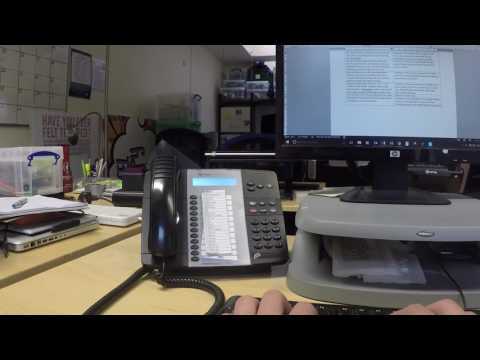 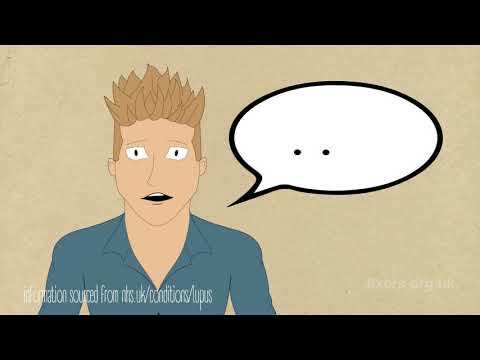 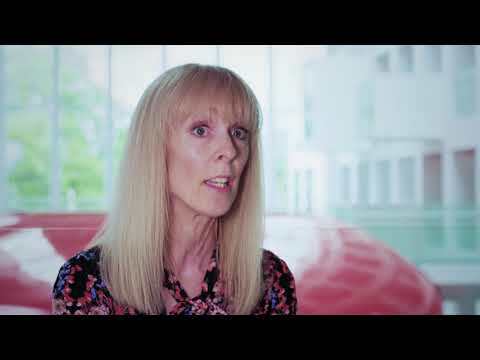 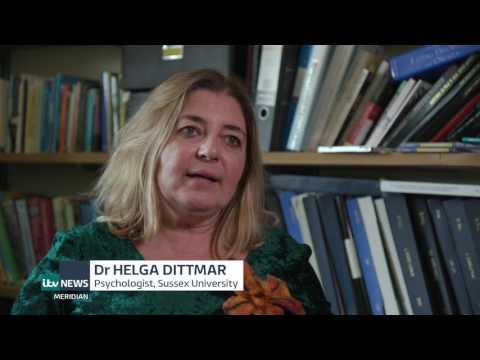 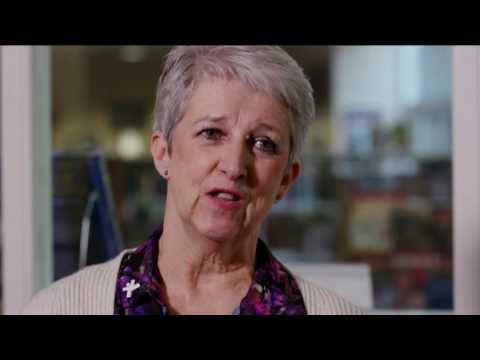 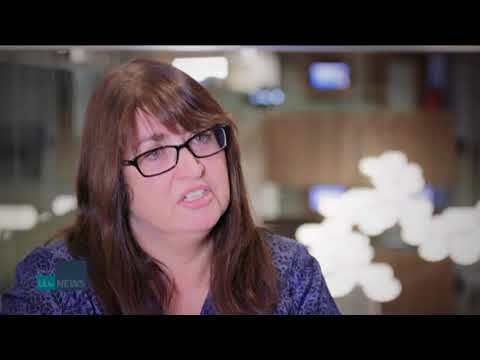 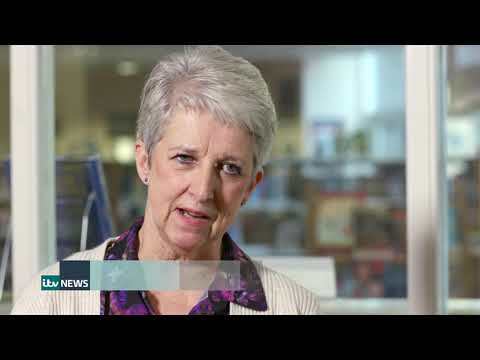 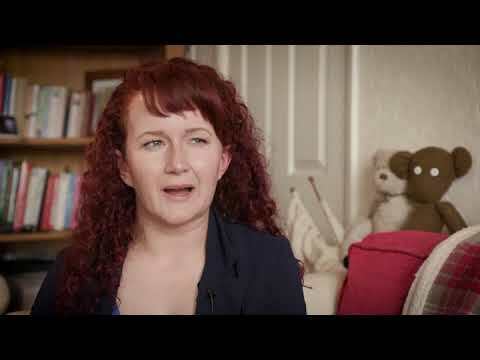 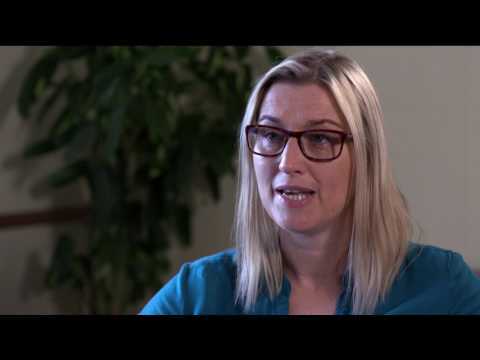 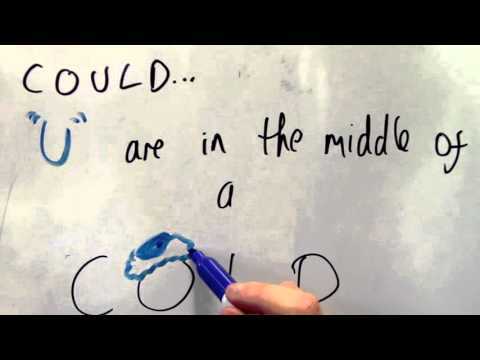 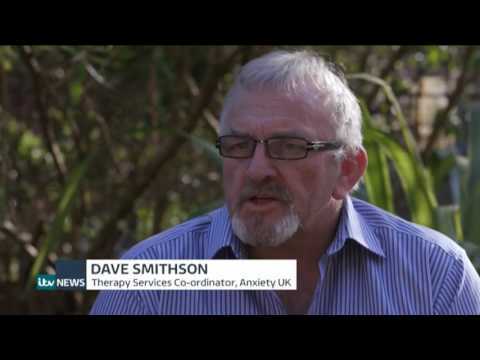 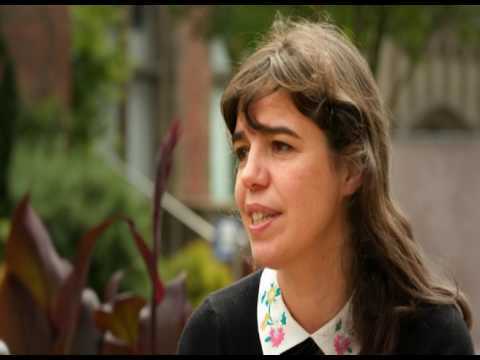 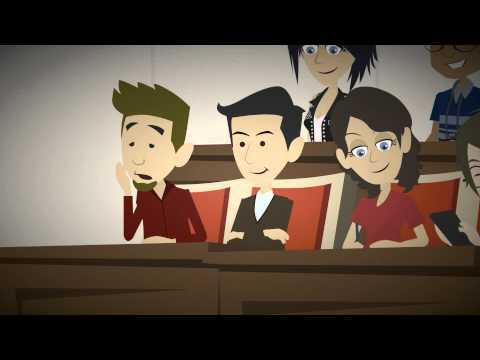 A short film showing the challenges faced by people with speech disorders. 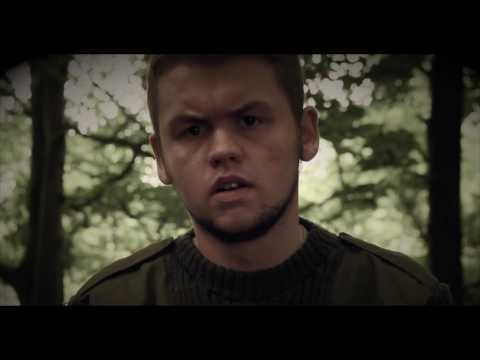 A short film encouraging young people to play the bagpipes. 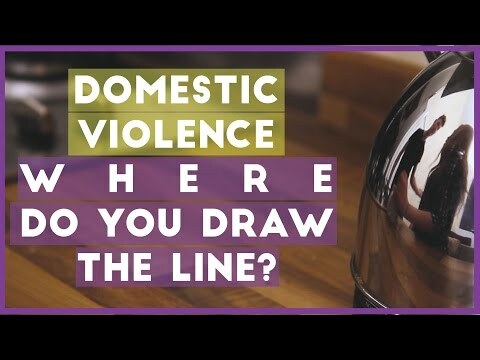 A short film encouraging victims of abuse to speak out. 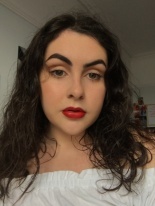 Rianna Raymond Williams, 24, is warning young people about the importance of appropriate behaviour in formal environments. 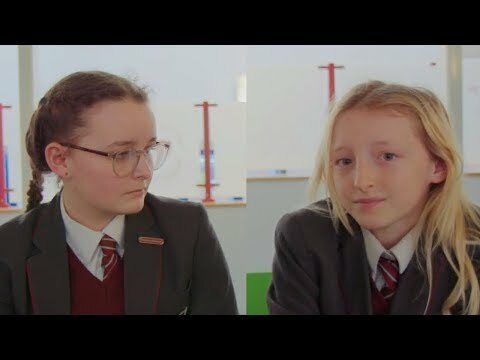 A short film educating teachers about how to help students with mental health issues. 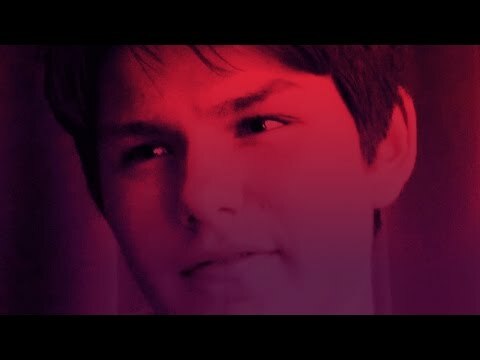 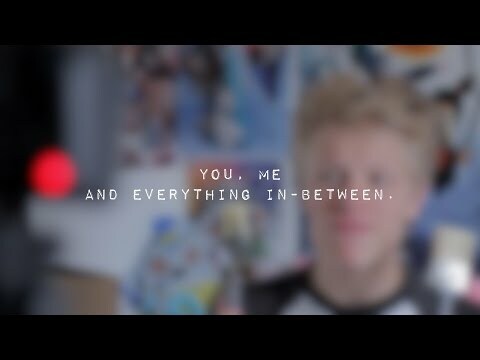 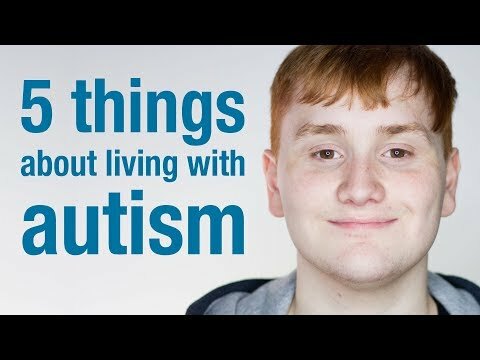 A short film educating people about Asperger's syndrome. 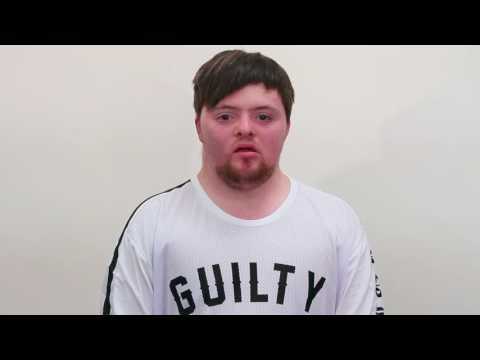 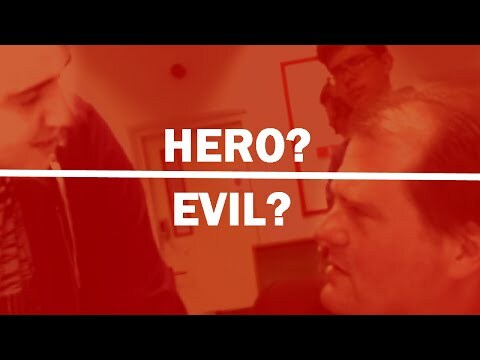 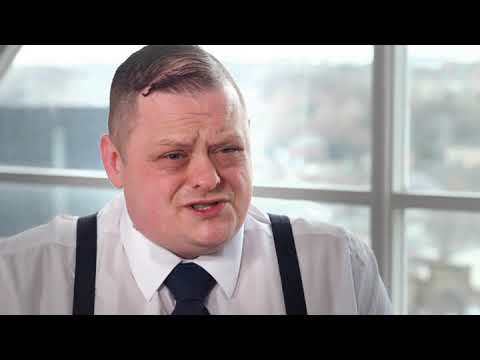 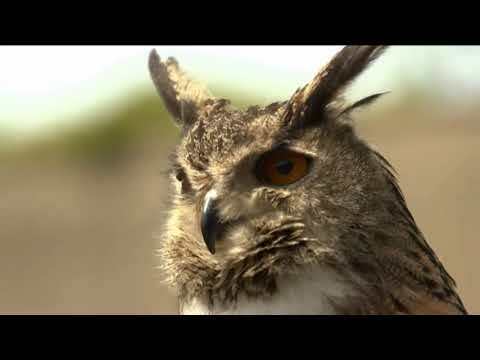 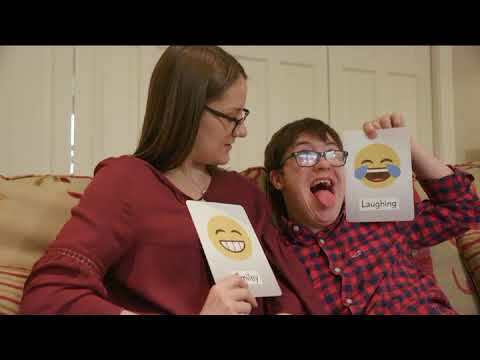 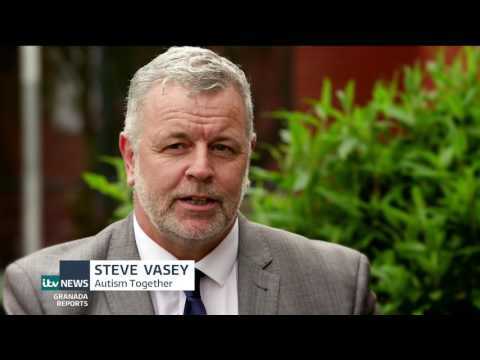 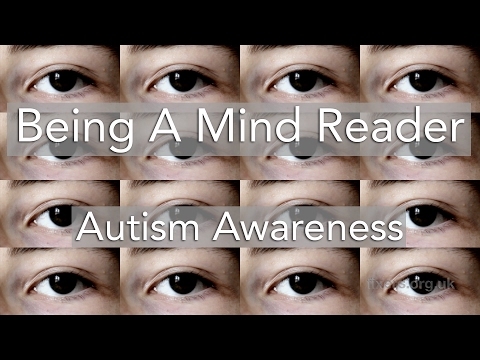 A short film encouraging more respect for people with learning difficulties. 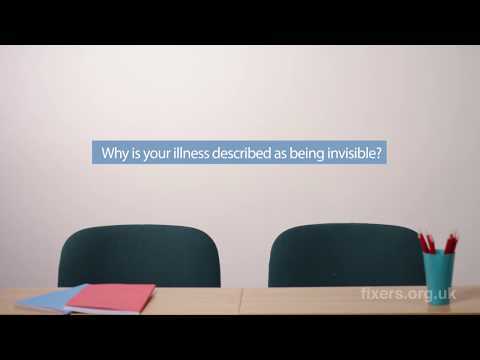 Milly Banks, 23, from Cheltenham, wants to encourage people to be more understanding of hidden illnesses. 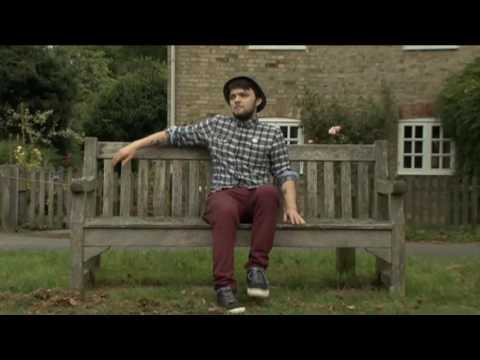 Luis John, 22, from Catford, London, has Asperger's Syndrome. 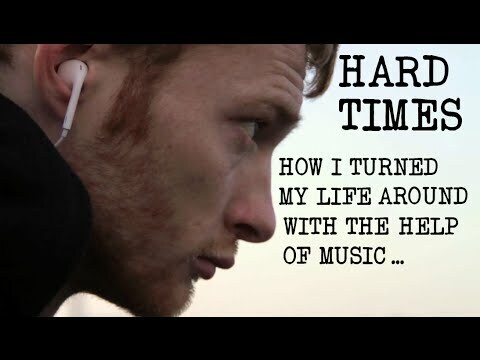 He has created this film showing the world through his eyes and hopes it will help people understand him better. 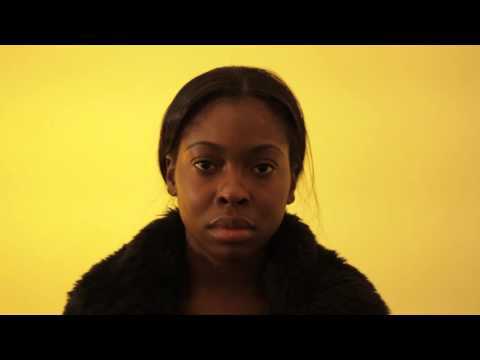 A short film aiming to tackle gender prejudice towards women. 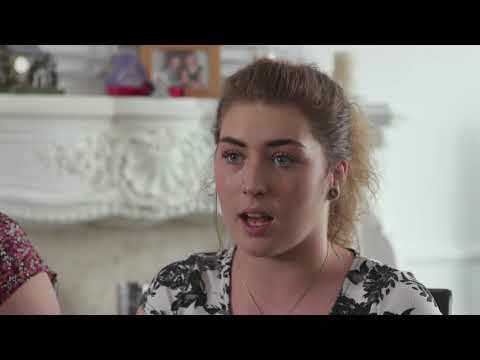 Chanelle Hopkins, 19, from Havant, Hampshire, wants to encourage young people being sexually exploited to seek help. 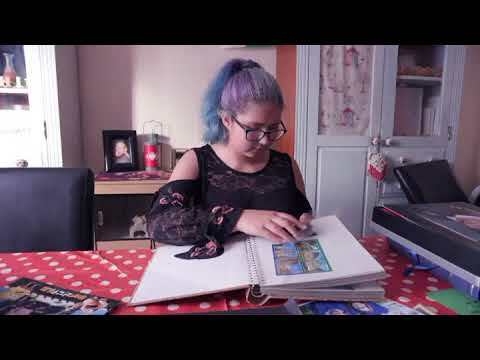 Kirsty, 17, from West Yorkshire, wants to show how damaging it is to share explicit images online. 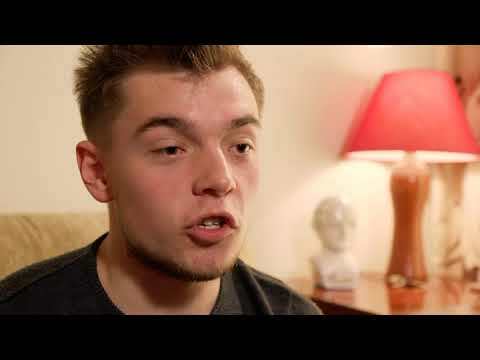 Lewis Hern, 17, from Pontypool, wants to change the guidelines on gay men donating blood. 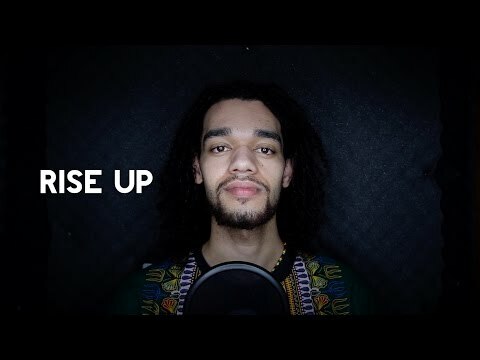 Azzees Minott, 24, from Upton Park, wants to show young people that politics in entrenched in every aspect of their lives. 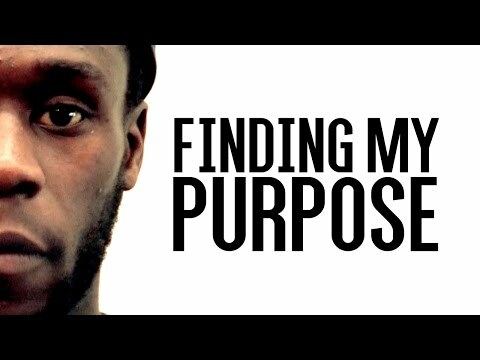 Rudolf Brenyah, 25, from Chatham, Kent, wants young people to find their purpose in life and pursue it. 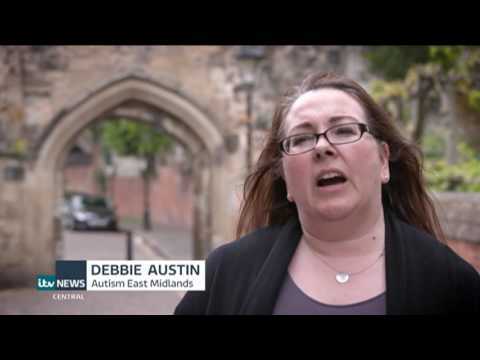 Jess Benton, 19, from Birmingham, wants to champion autism acceptance. 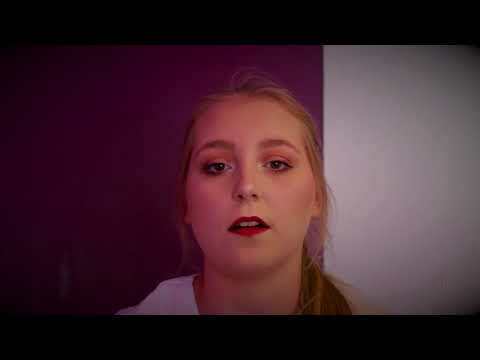 Megan O'Kane, 23, wants cheerleading to be added to the school curriculum. 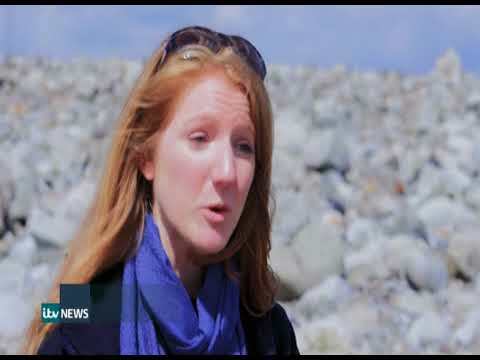 Frances Shillito, 26, has battled anorexia and wants to help others with the condition. 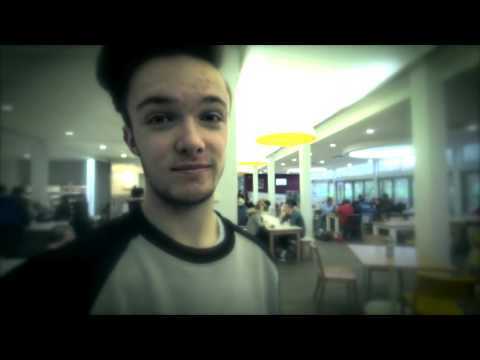 Nathan Barr, 17, wants to highlight the lack of youth facilities available in Waringstown, Co Down. 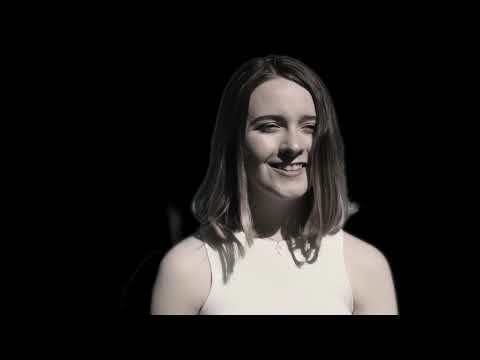 Caitlin Ronan, 17, from Ledbury, and her team wanted young hospital patients to be involved in the 'transition' process. 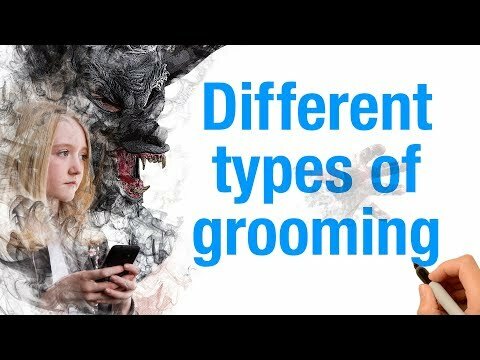 Gurdeep Singh Cheema, 21, from Slough, wants to highlight the dangers of online grooming. 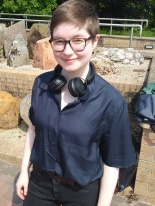 Morgan Williams, 17, from Stirling, wants improvements to be made to the Customs Roundabout underpasses. 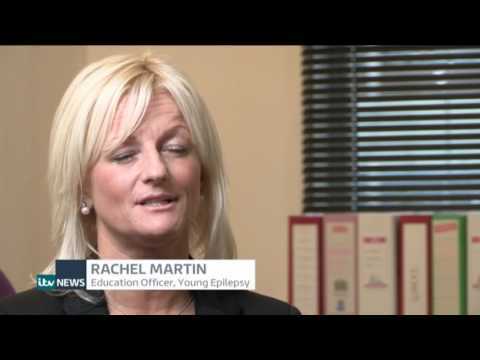 Hayley Coombs, 27, from Bath, wants to educate children and their parents about asthma. 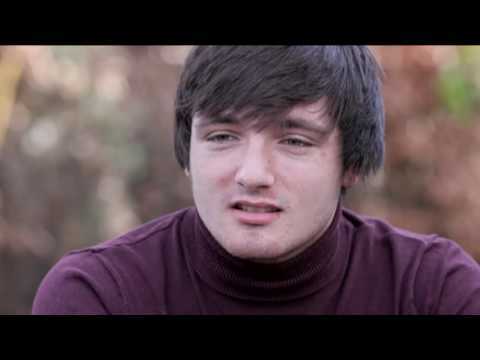 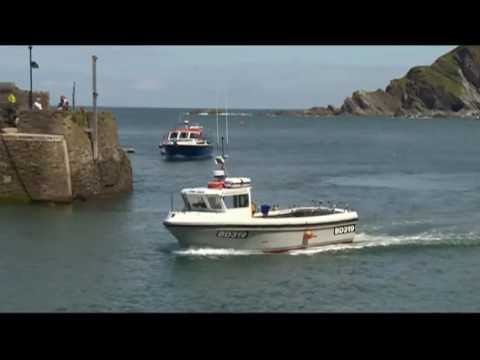 Ben Bengey, 19, from Ilfracombe, Devon, wants young people to pursue a career in the fishing industry. 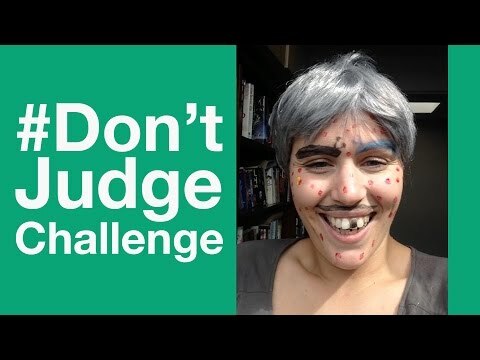 Jodie Broadley, 26, from Sheffield, wants to show how serious Body Dysmorphic Disorder (BDD) is. 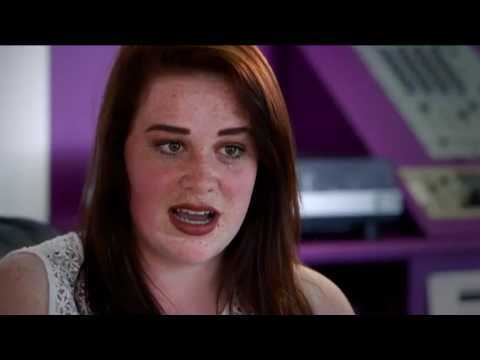 Amy Payne, 19, from Southampton, wants people to realise that bullies need help too. 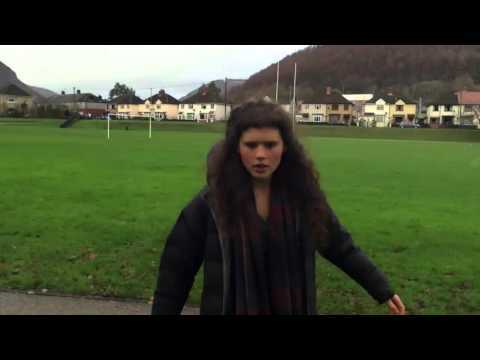 Poppy Clough, 16, from Llantarnum, wants to inspire young people with hearing impairments. 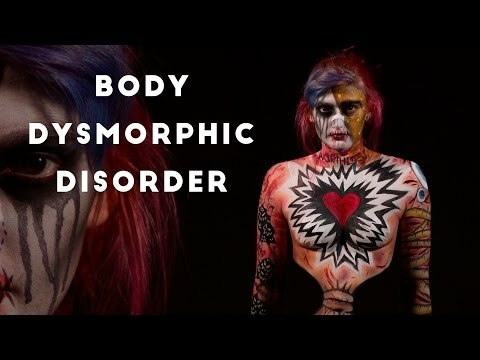 Jodie Broadley, 26, from Sheffield, wants to show the crippling nature of Body Dysmorphic Disorder. 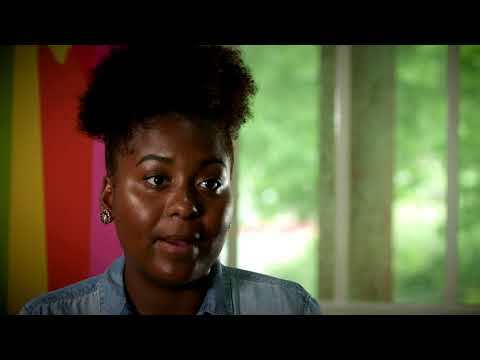 Serena Arthur, 19, from South Yardley, wants to tackle poor literacy rates amongst children in the city. 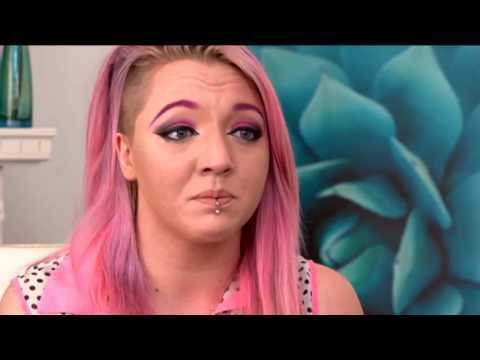 Lauren Taylor, 20, from Bournemouth, wants to show people that being bullied made her a stronger person. 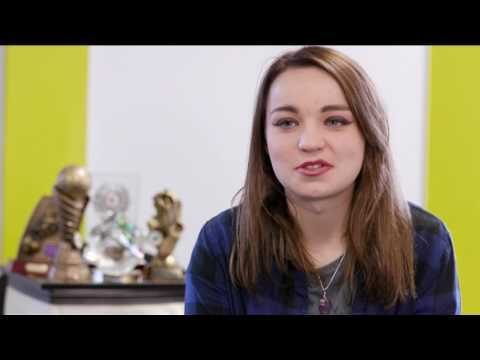 'Amy', 22, from Kent, wants to raise awareness of the joint enterprise law. 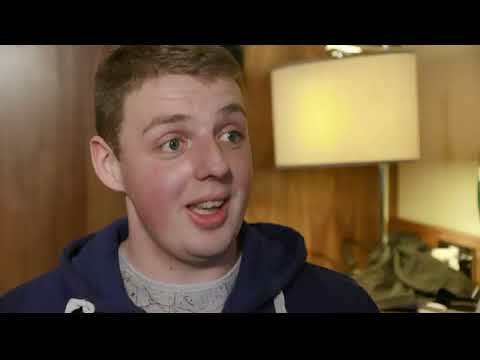 Shane Donaghy, 17, from Cookstown, wants support and understanding for people with autism. 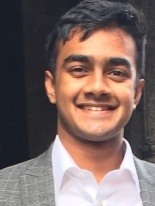 Farid Saleh, 21, from Islington, wants to challenge negative attitudes towards care leavers. 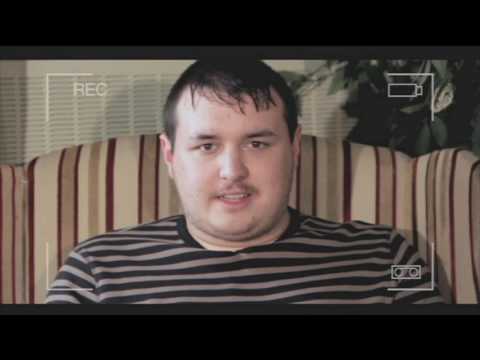 Gabe Ledson, 17, from Southport, wants people to relate to those with autism. 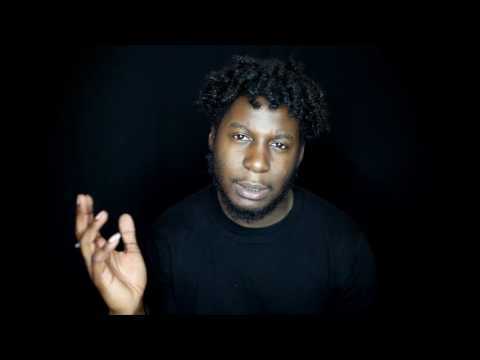 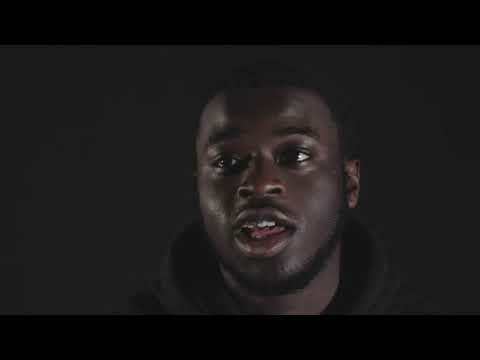 Tony Supreme, 27, from South London, wants to show how poetry can help young people from the most challenging of backgrounds to express their feelings. 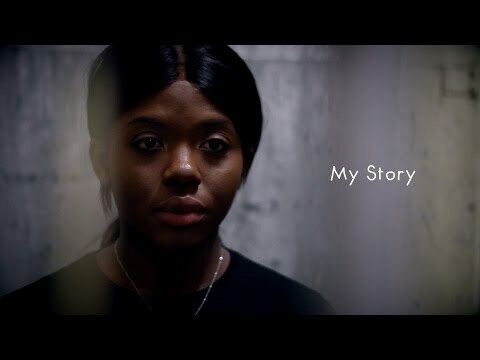 Cynthia, 20, from Birmingham, wants every child in the UK to be given the same opportunities regardless of where they were born. 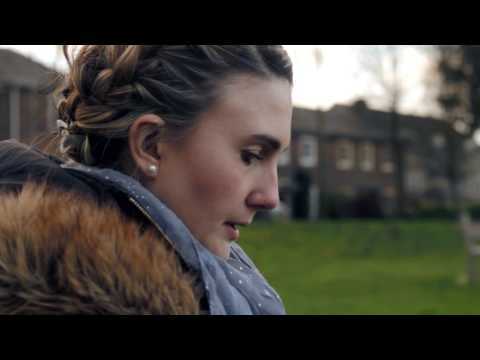 Harriet Davis, 25, from Lancaster, wants better understanding of eating disorders in the medical profession. 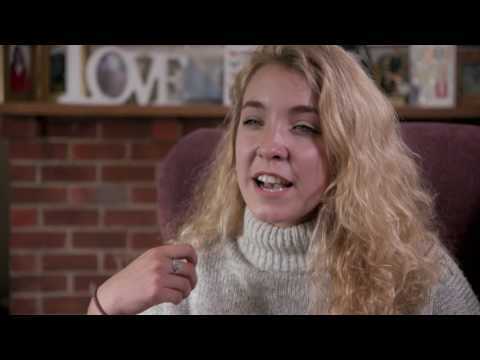 Ella Denton, 19, from Colchester, wants to show what being a young carer entails. 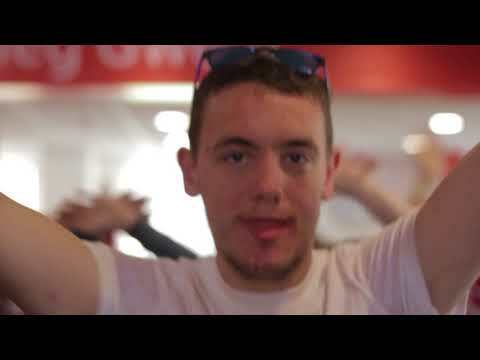 Ryan Dack, 23, from Middlesbrough, says powerchair football has changed his life. 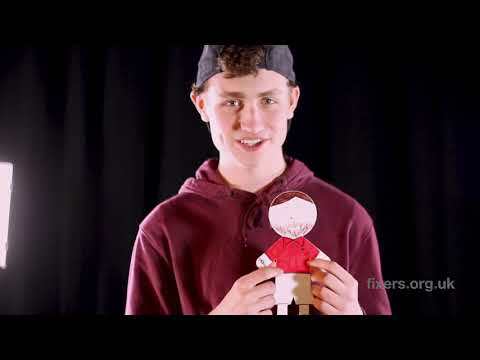 Bee Daws, 25, from Gloucester, uses puppetry to help with depression and anxiety. 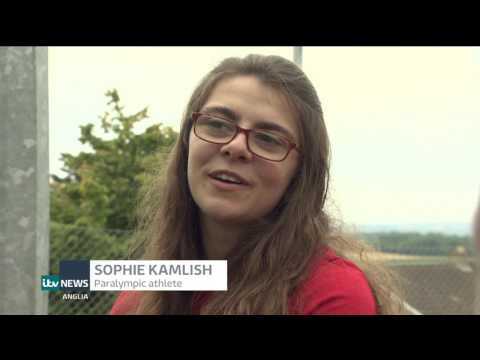 Natasha Mead, 22, from Plymouth, wants people to get into sport regardless of the challenges they face. 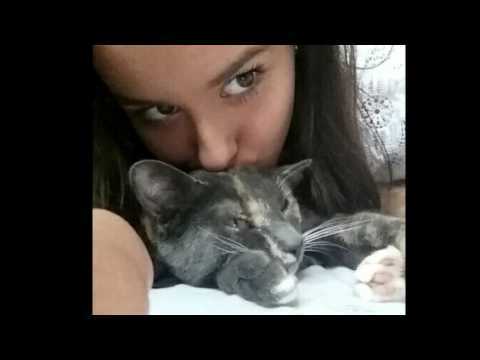 Megan Hinton, 17, from Southampton, wants to show how hard it is to lose a pet. 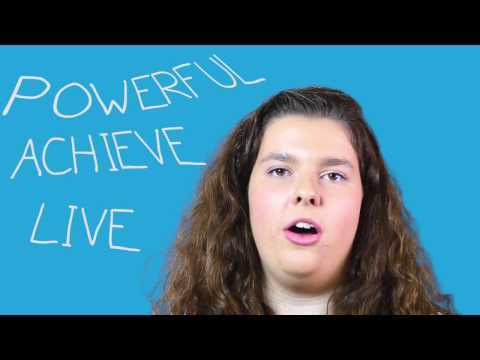 Nicole Allen, 19, from Seaford, wants people to make the most of their lives. 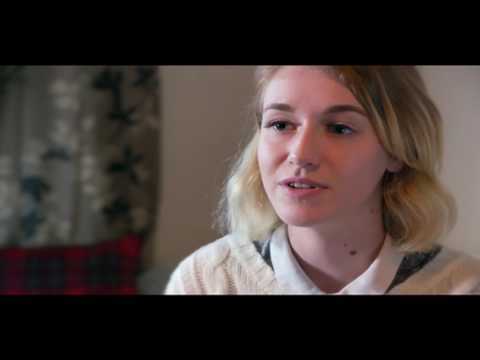 Alice Schweigert, 19, from Lewisham, wants to show the repercussions of fraud. 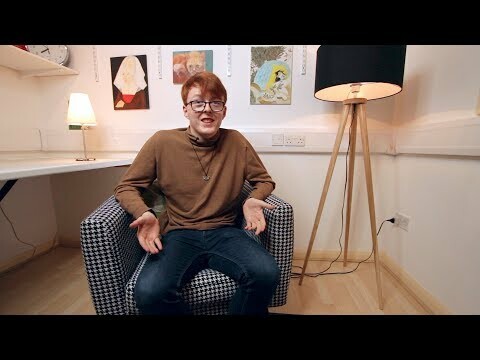 Matt Hood, 16, from Edinburgh, wants to educate students about the issues facing trans teens. 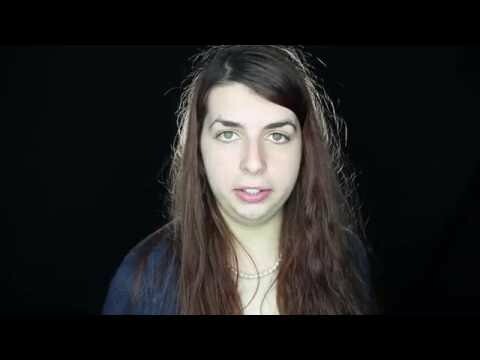 Gemima Christodoulou-Peace, 19, from Ipswich, doesn't want gender to prevent youngsters from choosing a career. 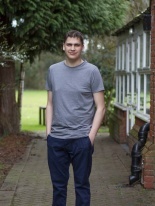 Ben Evans, 21, from Southfields near Wimbledon, wants to encourage openness about being transgender. 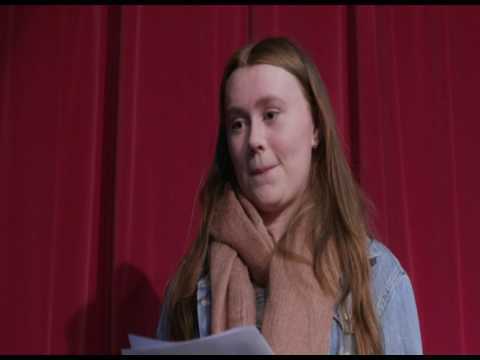 Jemma Watson, 17, from Pudsey in Leeds, wants creative subjects to be taken more seriously in schools. 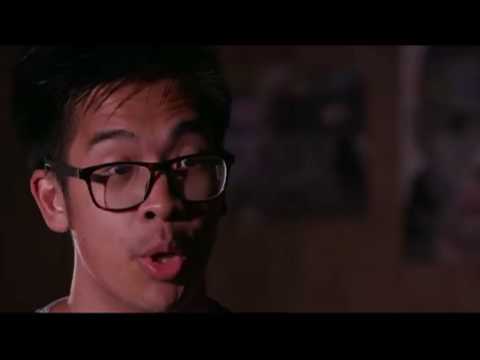 Duy Hoang, 25, from Bristol, wants to challenge racism in the LGBT community. 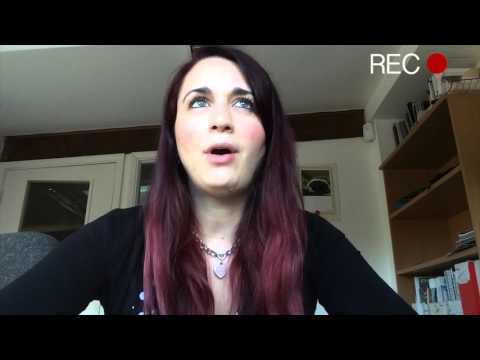 Jessica Atkinson, 24, from Crediton in Devon, wants mothers to be more open about postnatal depression. 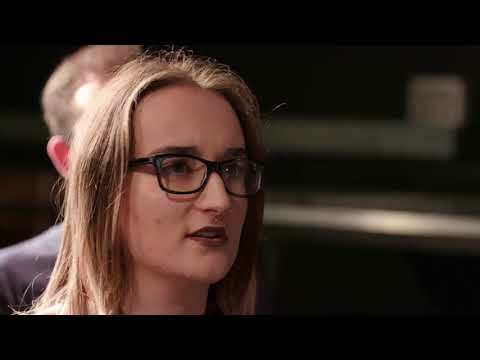 Nichola Wright, 21, from County Durham, wants more young women to take up engineering as a career. 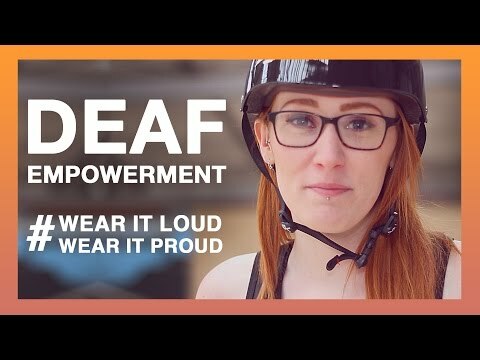 Lauren Taylor, 22, from Bournemouth, wants to show how bullying can impact someone with disabilities. 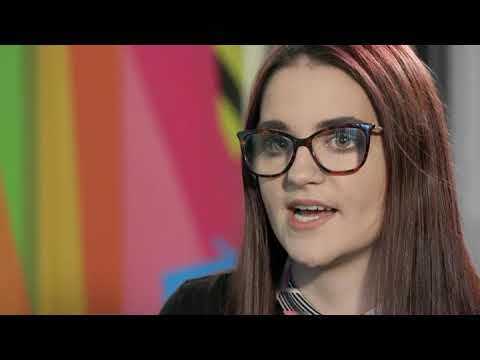 Catherine Divers, 18, from Penrith, wants young people to be aware of their rights in the workplace. 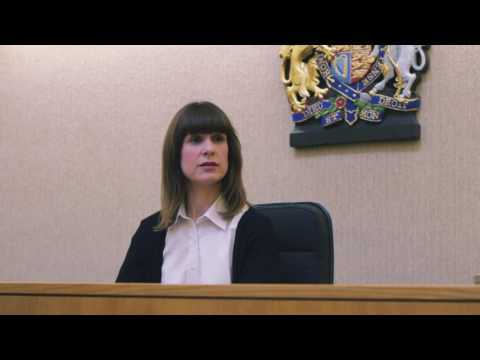 'Amy', 24, from Kent, wants to make young people aware of the joint enterprise law. 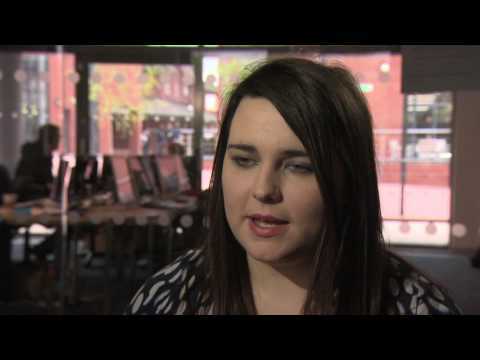 Rachel Harris, 20, from Middlesbrough, wants more support for young people with dyspraxia in schools. 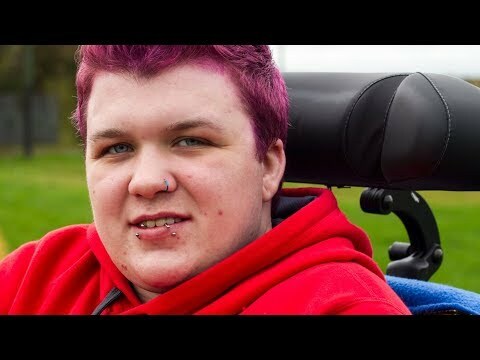 Nathan McCard, 18, from Lisburn in County Antrim, wants to encourage people being bullied to seek help. 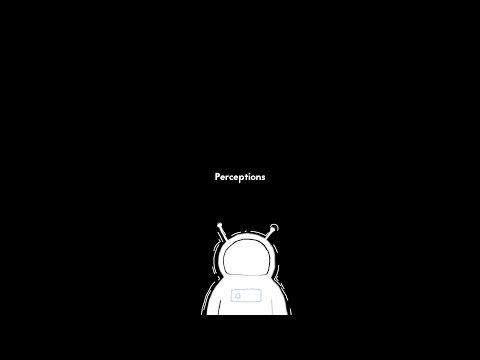 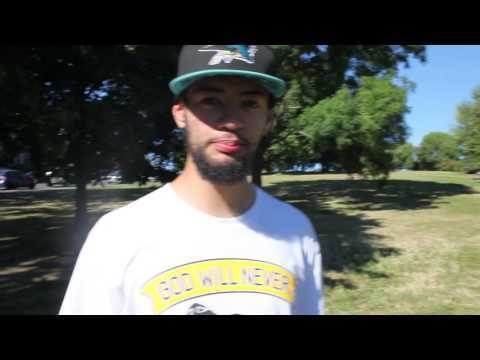 A short film aiming to challenge negative youth stereotypes. 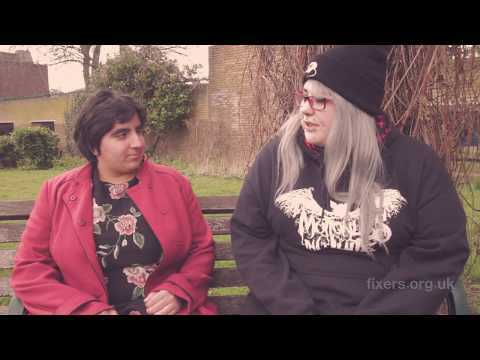 The first parliamentary inquiry into sexual harassment in schools was launched following research from Fixers. 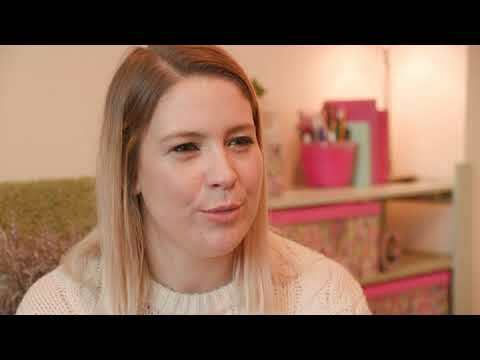 Terri Reid, 24, from Liverpool, is encouraging mothers with postnatal depression to seek help. 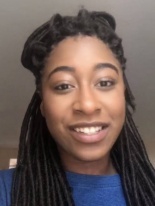 Risa Romy, 17, from Dorchester, wants more people from ethnic minorities to become organ donors. 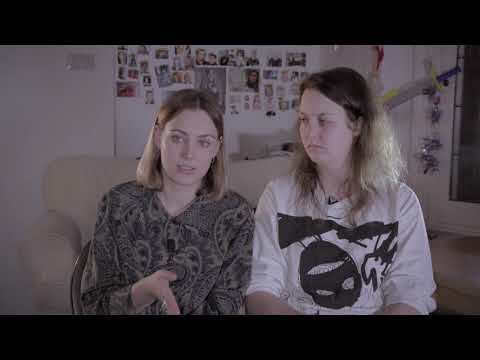 Emma Rogerson, 17, and her sister Toni, 19, from Hartlepool, want to prevent people from taking their own lives. 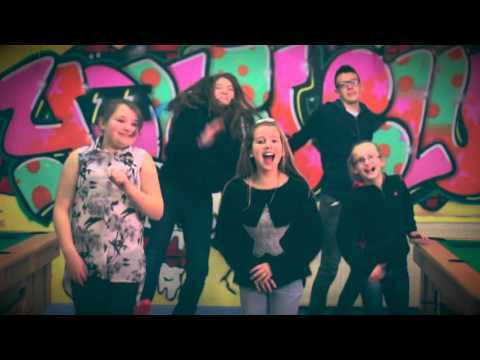 Challenging negative stereotypes of young people. 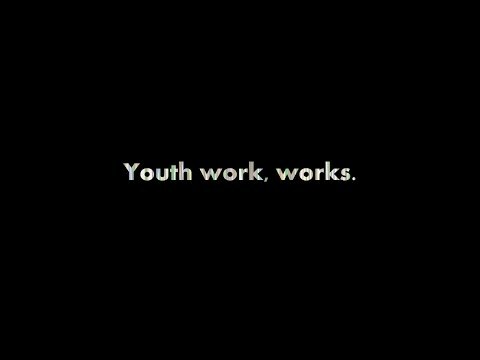 To show young people that anything is possible. 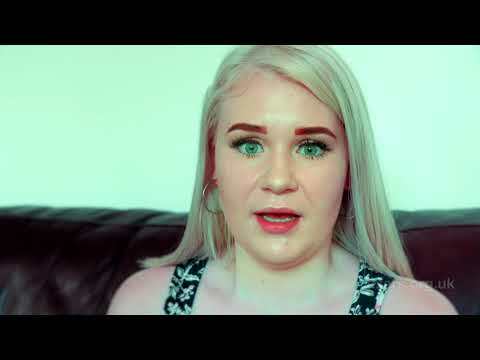 Emma Oldfield, 22, from Stockton-on-Tees, wants medical professionals to improve how they treat people recovering from an eating disorder. 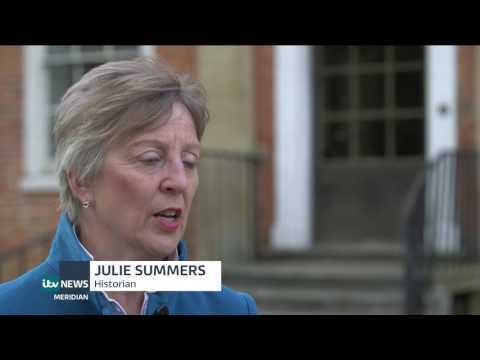 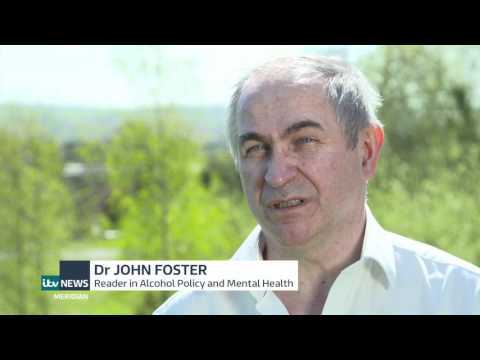 Warning young people about the dangers of alcohol. 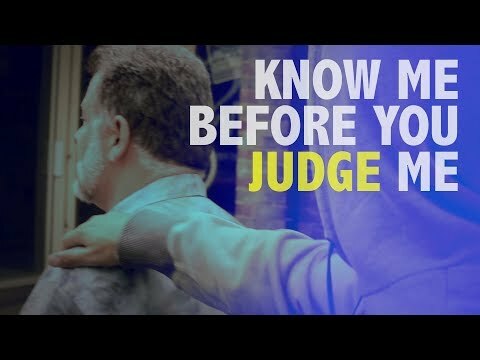 A film aiming to dispel misconceptions about Islam. 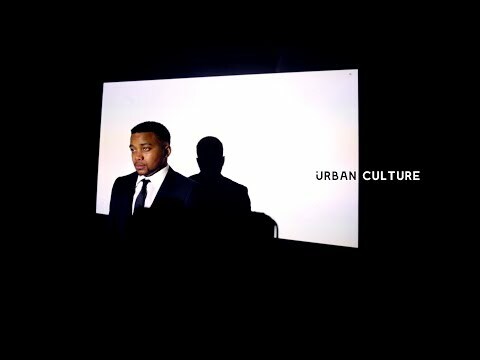 Challenging negative stereotypes of people from urban communities. 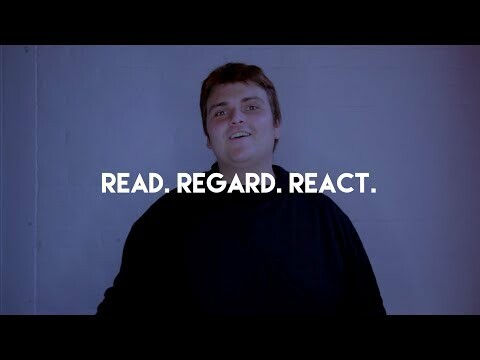 Lee Morris, 20, from Abercam, wants people to be kind in their daily lives. 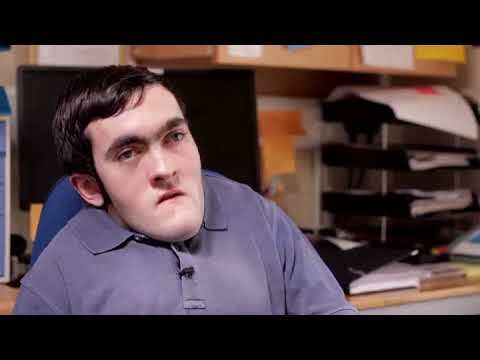 Martin Berisford, 24, from Coventry, wants to encourage people not to be held back by their disability. 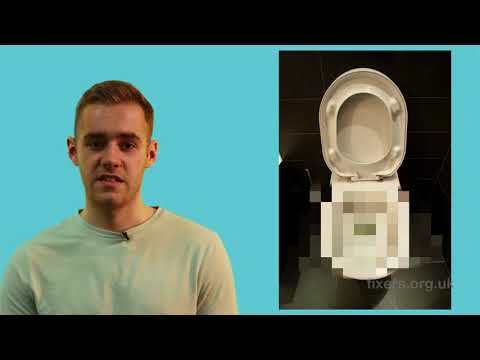 Louie Greenwood, 20, from Swansea, is campaigning for more gender neutral toilets. 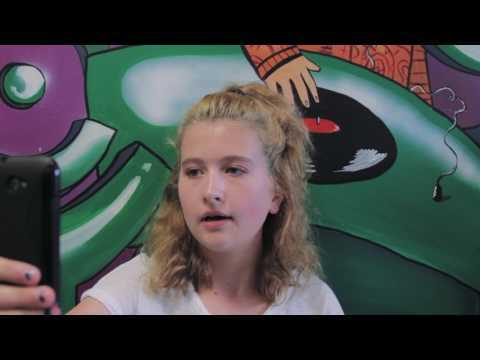 Jemima Browning, 16, from Stutton, wants to promote activity groups for young people with disabilities. 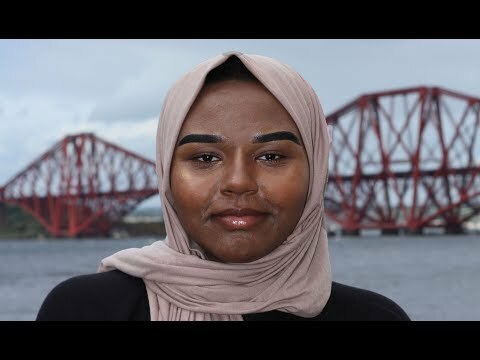 Rediat Abayneh, 24, from Bristol, wants to thank Britain for giving her a safe place to live. 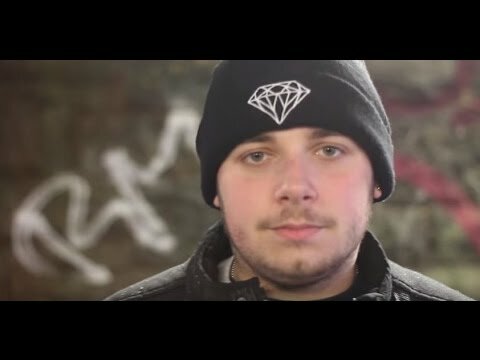 Connor Moody-Russell, 19, from Southampton, is encouraging young men to feel happy about how they look. 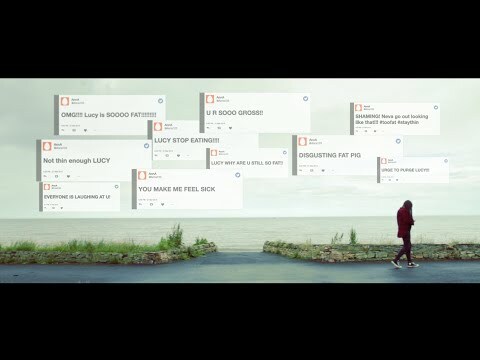 A short film about staying safe online. 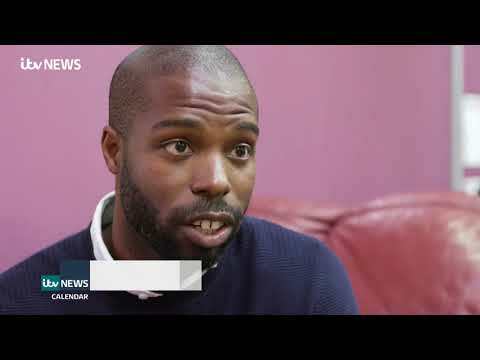 Proscovia Kongai, 22, from Woolwich, wants schools to do more to help bereaved youngsters. 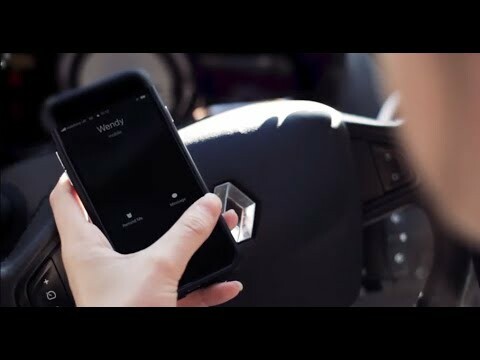 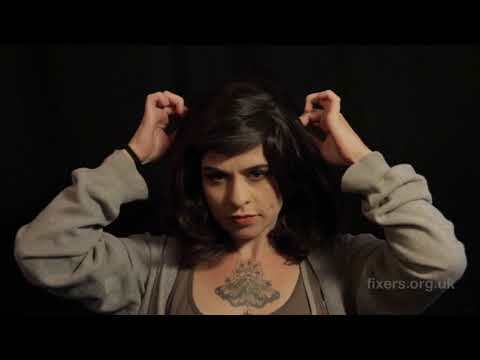 A short film about the dangers of sexting. 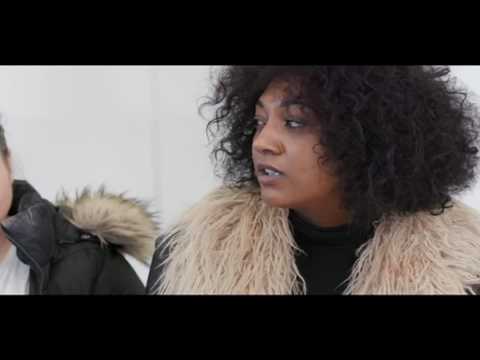 A short film challenging negative stereotypes of homeless people. 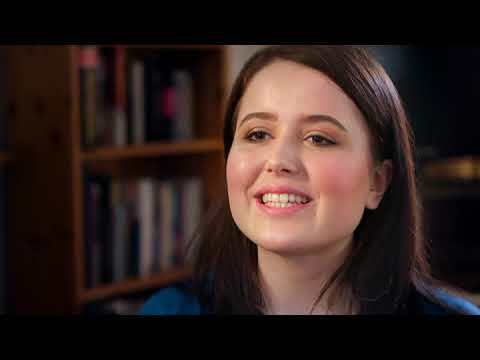 Emma Oldfield, 22, from Stockton on Tees, wants health professionals to individualise treatment of eating disorders. 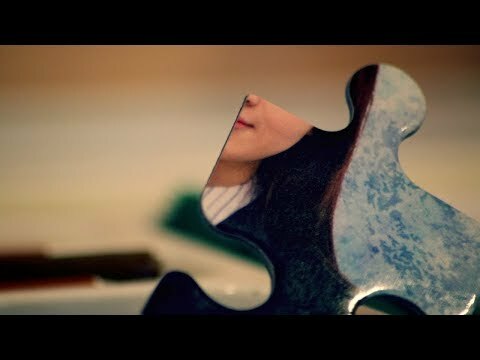 A film about child sexual exploitation. 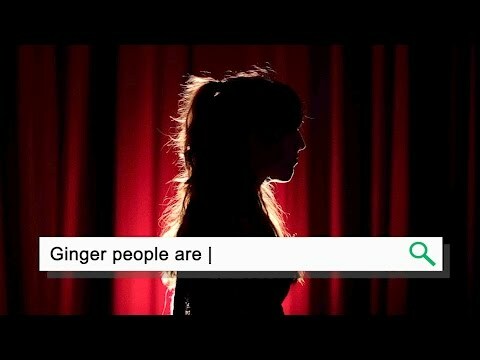 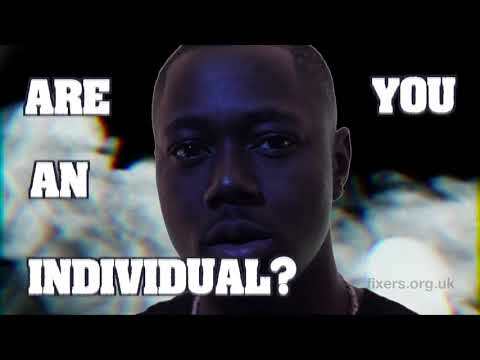 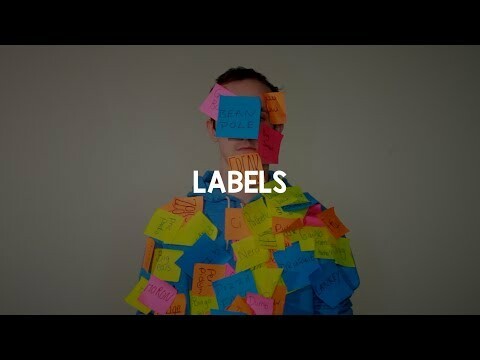 A short film encouraging people to be themselves. 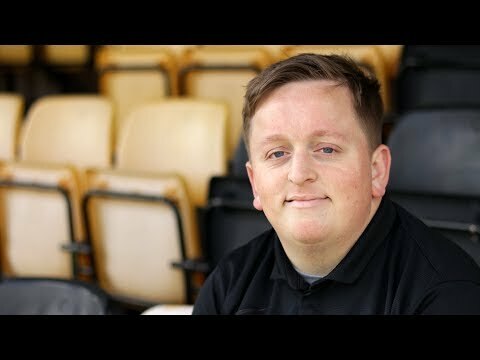 Chris Bird, 29, from Bridgwater, wants people with mental health issues to embrace their differences. 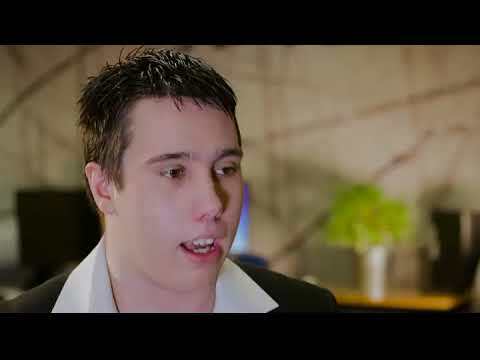 Nick Walker, 23, from Gloucester, wants to help young people not in education or employment to find their self-worth. 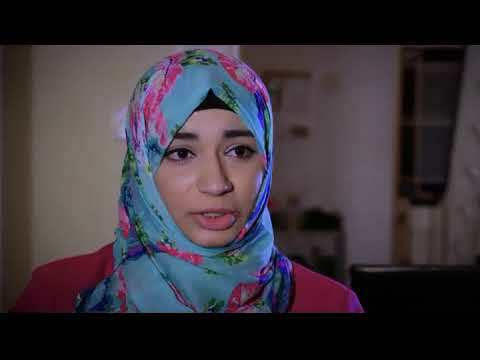 Alizeh Abdul Rahman, 17, from Plymouth, wants to show the benefits of teaching religious education in schools. 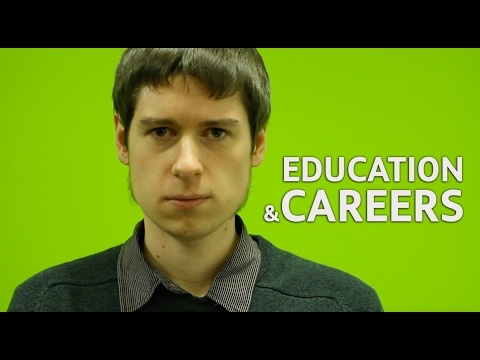 Andrew Hughes, 24, from Carlisle, wants young people to have a better understanding of autism. 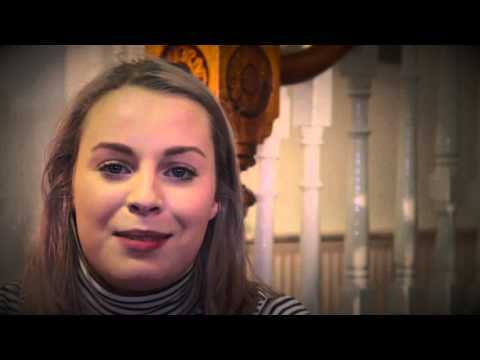 Paige Sheerin, 16, from Antrim, is encouraging young people to volunteer. 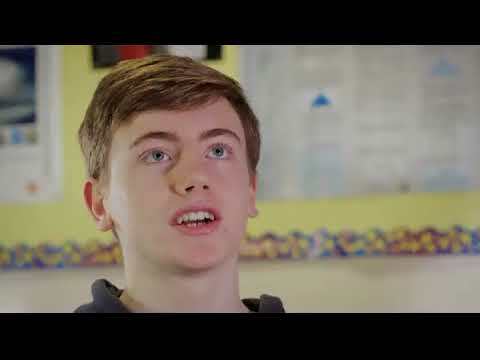 Mac Cook, 16, from Orkney, wants to highlight the challenges for teens growing up in isolated, rural communities. 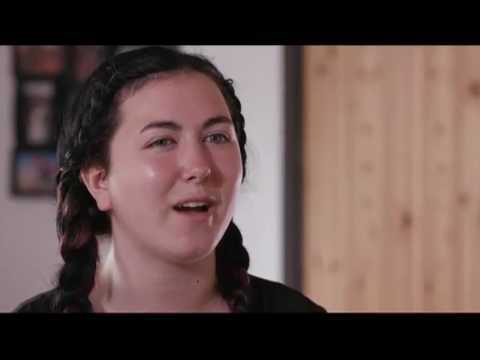 A short film about young carers. 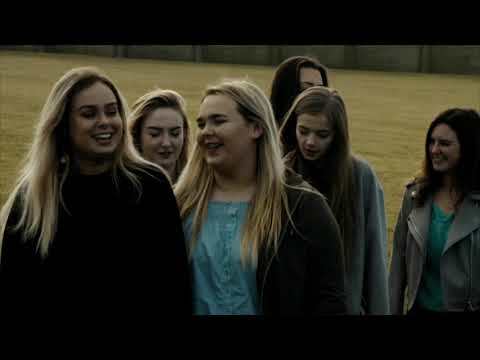 A film about the positives of being a young carer. 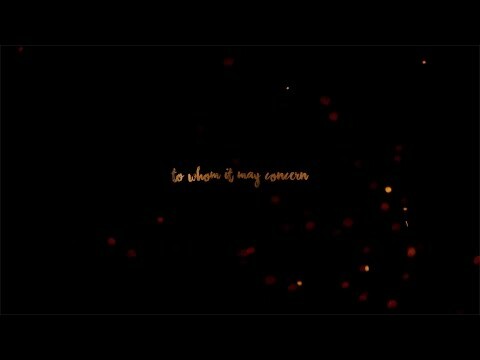 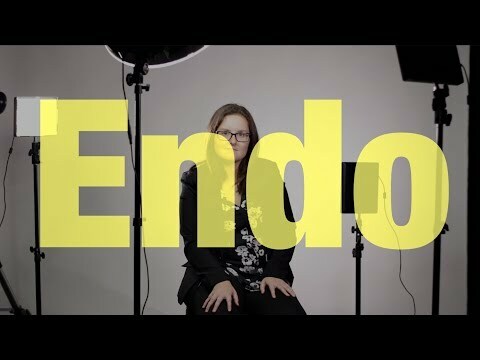 A short film about endometriosis. 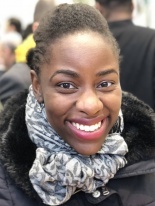 Jessica Ofori-Forbes, 20, from Hackney, is encouraging young carers to look after themselves. 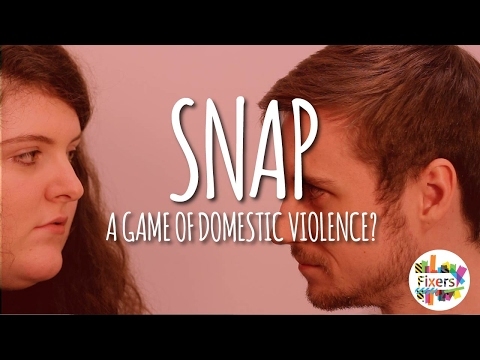 A short film aiming to help young mothers living in supported accommodation. 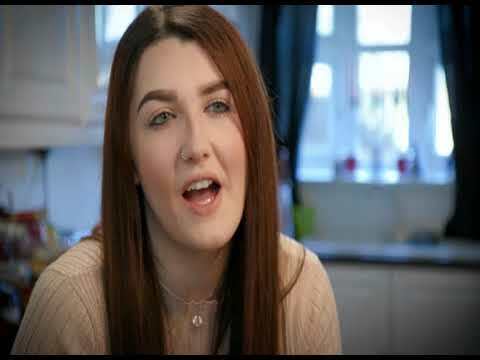 Georgia Edwards, 23, from Hereford, wants the police to be better trained when dealing with people in mental health crisis. 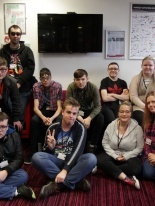 Chloe Hammond, 18 from New Brancepeth, wants to see better public access for young disabled people. 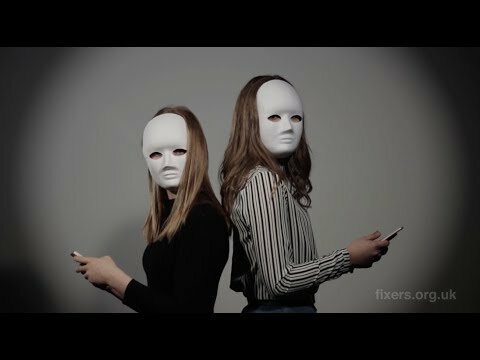 A short film about the dangers of fraud. 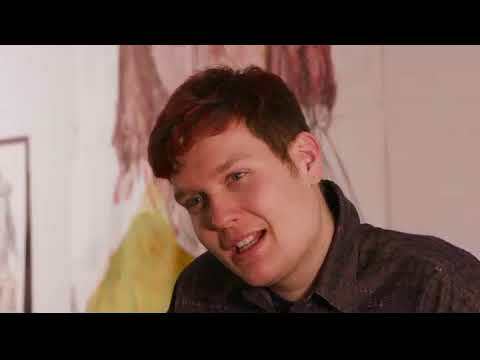 Luke Murphy, 22, from North Lanarkshire, wants to highlight how chronic illnesses affect young people. 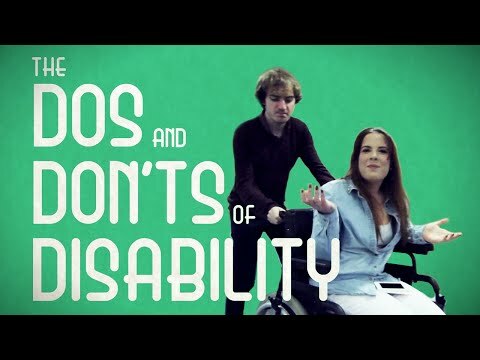 Don't treat people with disabilities differently. 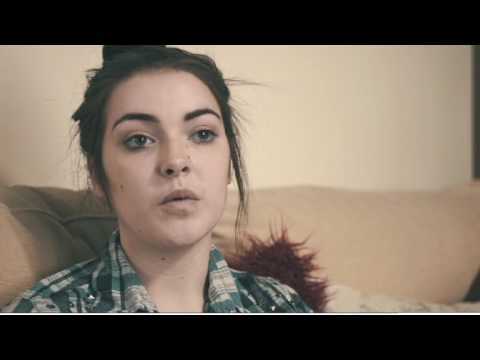 A short film encouraging professionals to have more understanding of young carers. 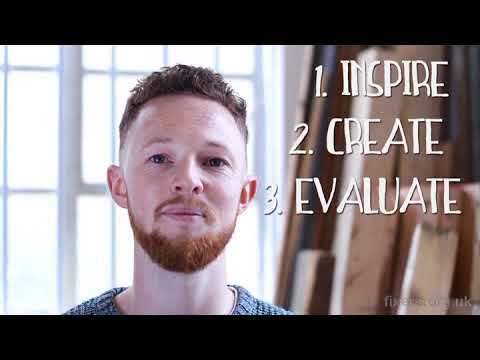 Ben Rist, 24, from Chatham in Kent, wants people to follow three simple steps when helping others suffering with anxiety. 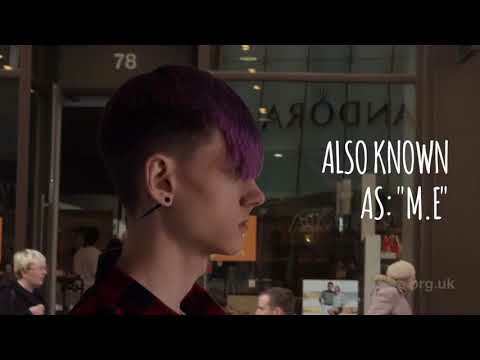 Ed Southgate, 20, from Bristol, who developed anorexia when he was a teenager, has launched a campaign to show that the illness doesn't just affect females. 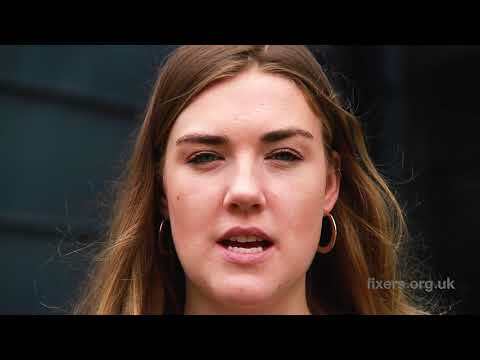 Swansea University student, Ella Wilkinson, 21, has launched a campaign with Fixers to get young people to make more of an effort when it comes to recycling. 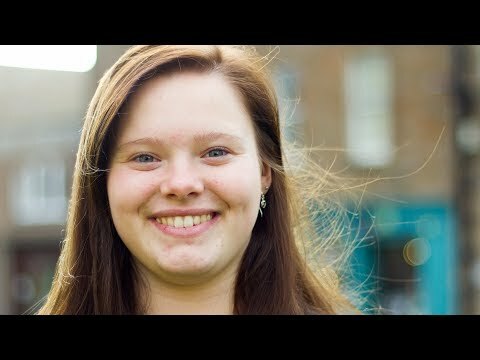 Jane (not her real name), 20, from Cambridgeshire, wants to urge all professionals working with young Child Sexual Exploitation (CSE) victims to treat them with respect. 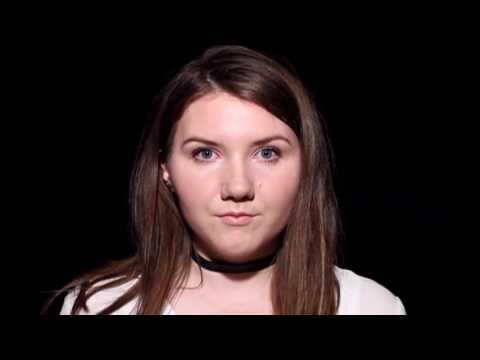 Abi Fraser, 17, from Wem near Shrewsbury, wants to warn people about the growing dangers of antibiotic resistance. 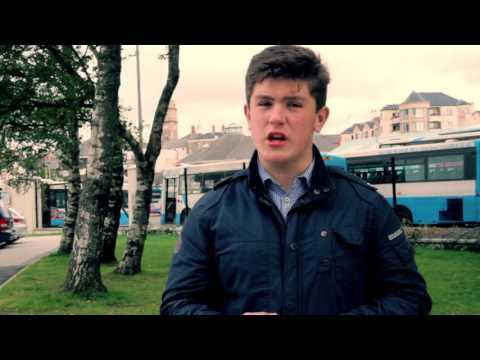 Luke Moynan, 17 from St Cleer, Liskeard, is campaigning with Fixers for a better bus service to serve young people in the area. 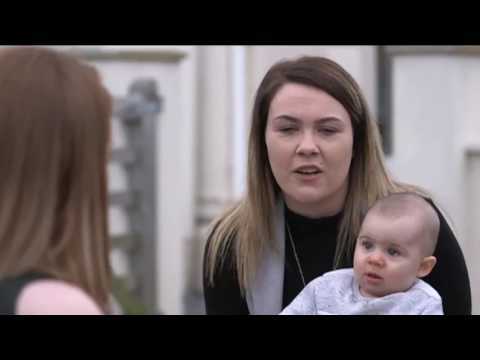 After being diagnosed with post-natal depression following the birth of her daughter 4-years-ago, Lauren Murchison, 23, from Carlisle is encouraging other young mums not to bottle up their emotions. 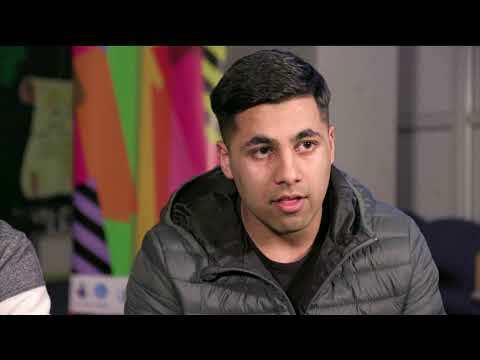 Rochdale Fixers Bilal Khan, 17 and fellow Fixer Abid Rahman, 18, hope that their campaign will improve understanding of their religion. 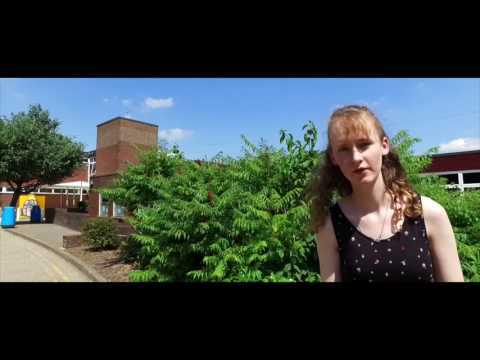 Megan, 17, from Southampton, wants people to be more understanding towards those grieving for a pet. 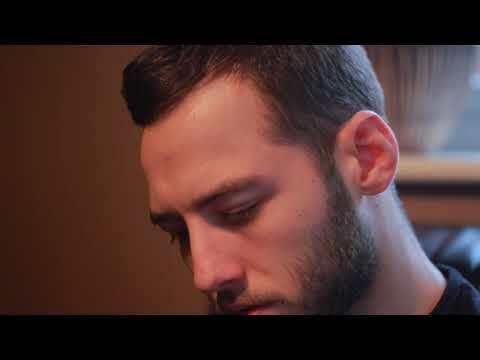 A short film about bereavement. 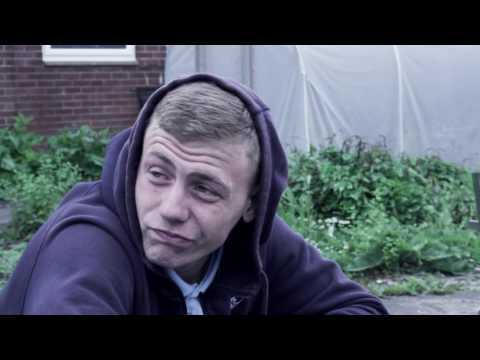 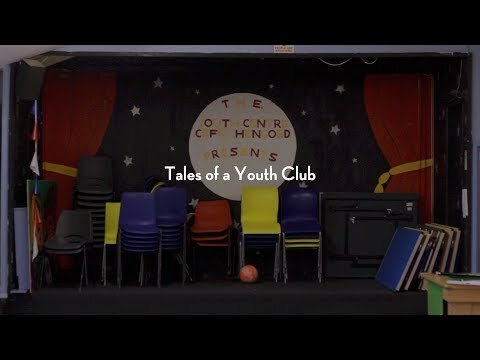 A short film about changing people's perceptions of young people. 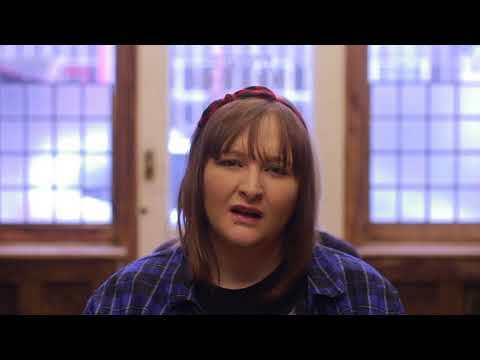 Naomi Rodgers, 21, from Tain, is highlighting how hard it can be for people to open up about their mental health issues. 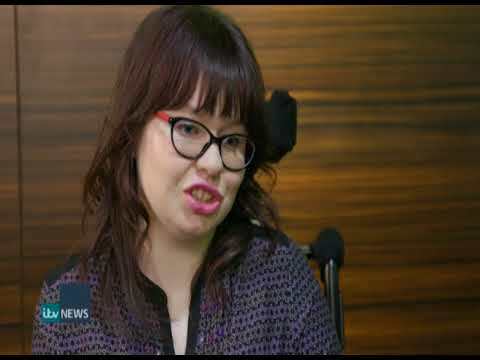 Charley Zakrzewski, 25, who was born with a rare disorder which affects her movement is encouraging young people to make the most of life despite the challenges they may face. 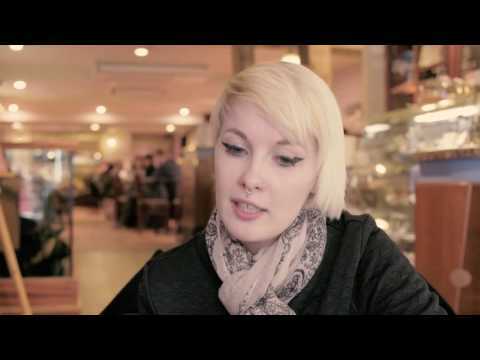 Evangeline, 20, from Chesterfield, wants people to spend less time on their mobile phones and be more present. 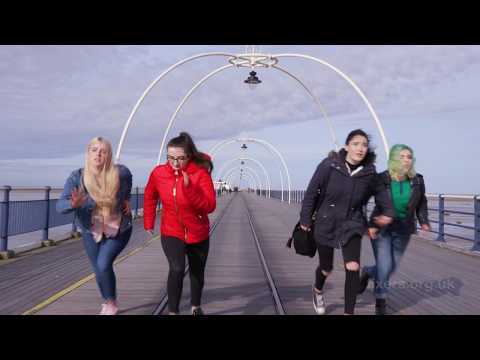 Chloe Hopkins, 25, from Prestatyn, wants to warn young people about stalkers and to encourage them to stay safe. 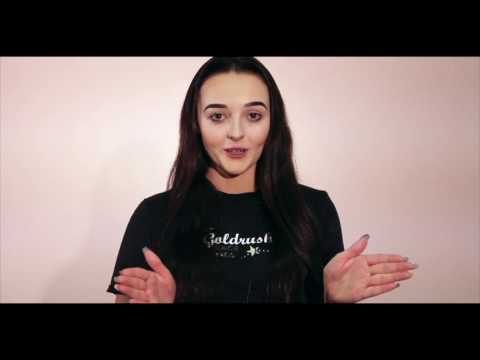 Chloe Neesham, 19, from Workington, wants young people to be positive about their body image. 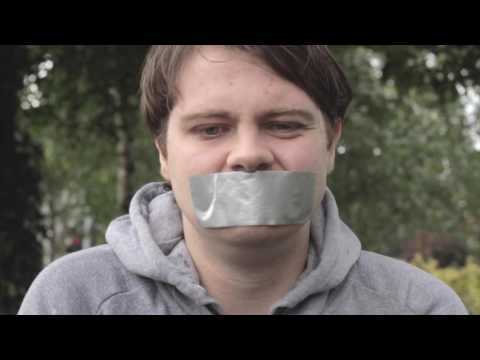 Rae Bolton, 25, from South Shields, wants more support for children being bullied in school. 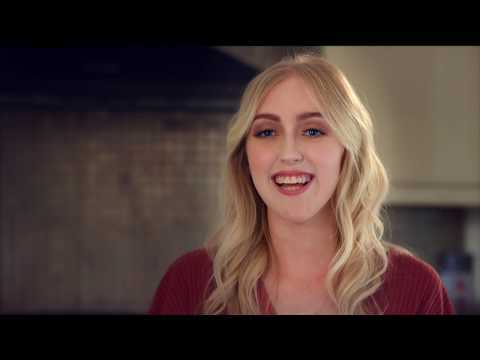 Janie Banks, 20, from Basildon, wants young people to take up a hobby to help with life's troubles. 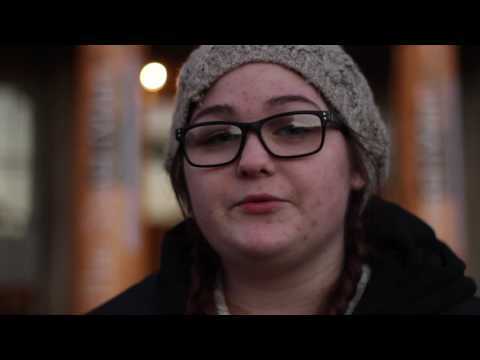 Shauna Webb, 21, from Hengoed, wants to show how important youth clubs are. 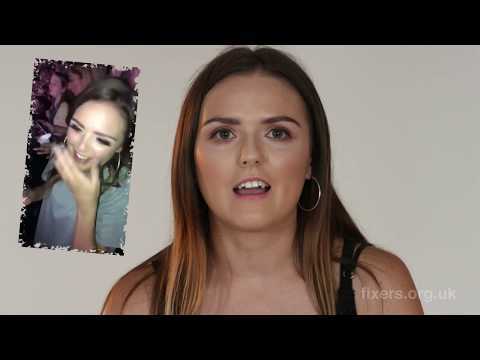 Jess Stoddard, 20, from Manchester, is warning people about the dangers of binge drinking. 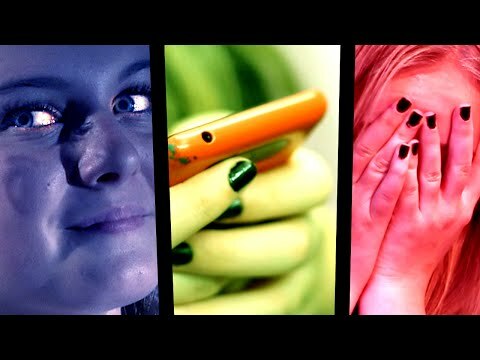 Stephanie Keenan, 18, from Ramsgate, is encouraging victims of bullying to confide in someone they trust. 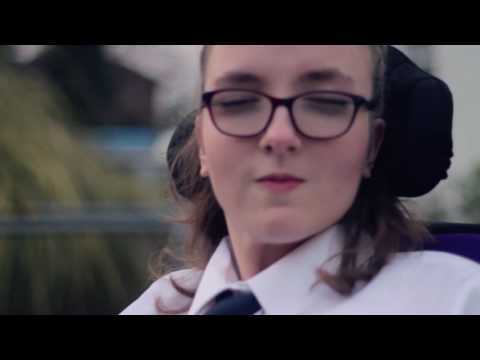 Kate Grant, 19, from Cookstown in County Tyrone, wants people with disabilities to be taken seriously. 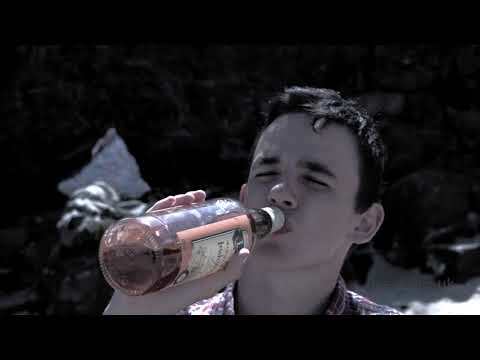 Dylan McCoarty, 18, from Portstewart, is warning young people about the dangers of alcohol misuse. 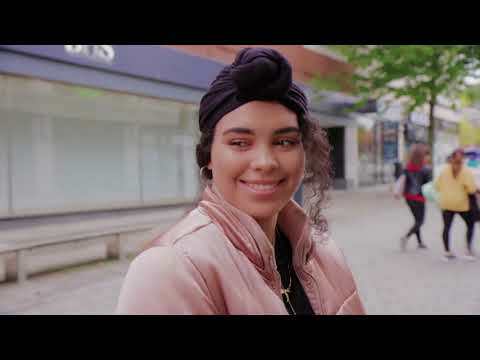 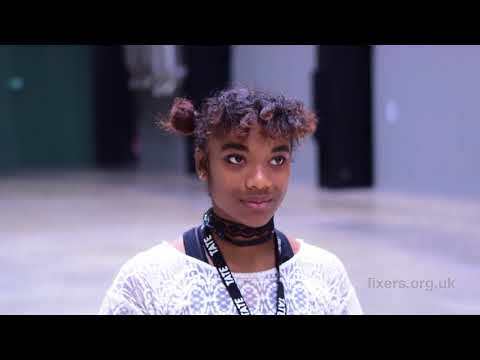 Jorjia Reed, 16, from Halifax, West Yorkshire, who has been bullied in the past, has teamed up with Fixers and is using music to inspire others with similar experiences to stay strong. 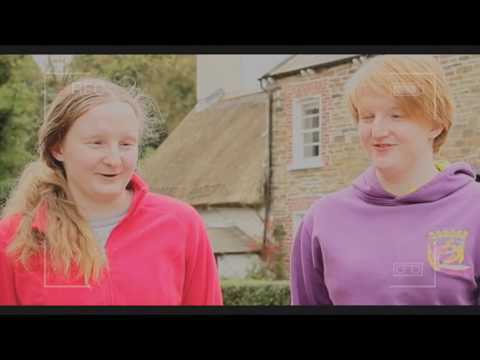 Lucy Prentice, 19, from Pencada near Carmarthen, wants young carers to be able to study full time. 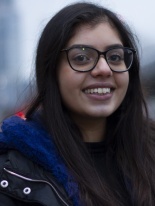 Saba, 18, from Calderdale, wants to break the taboo surrounding the issue of forced marriage. 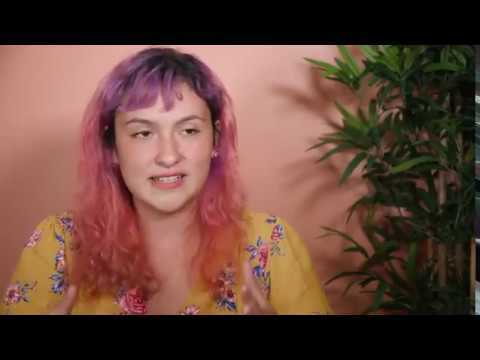 Georgia Edwards, 23, from Hereford, wants the police need to stop treating mentally unwell people like criminals. 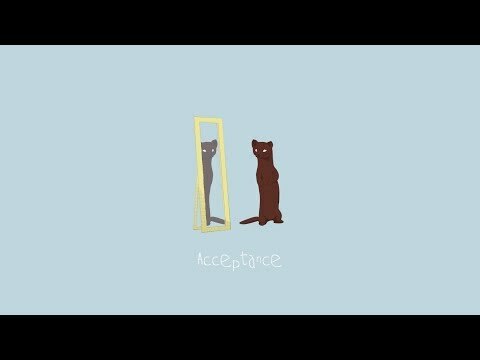 A film about body image. 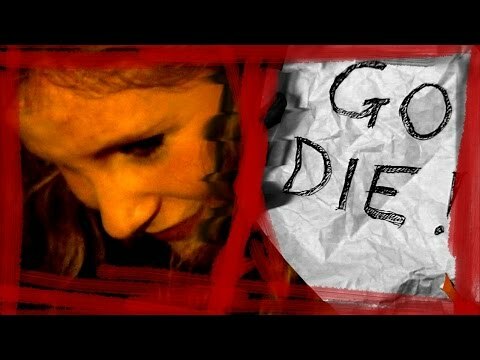 A film about the dangers of catcalling. 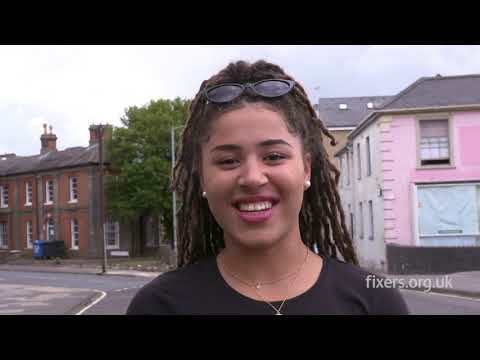 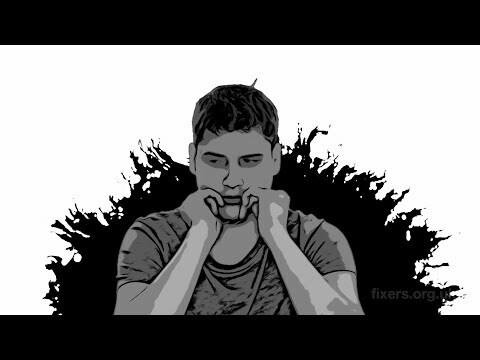 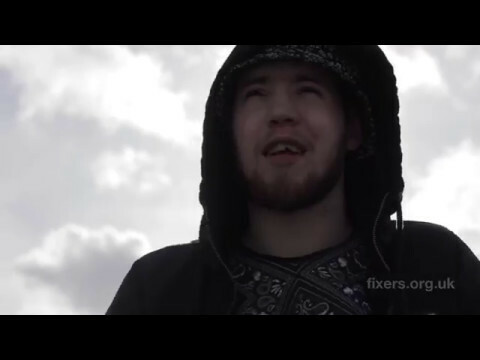 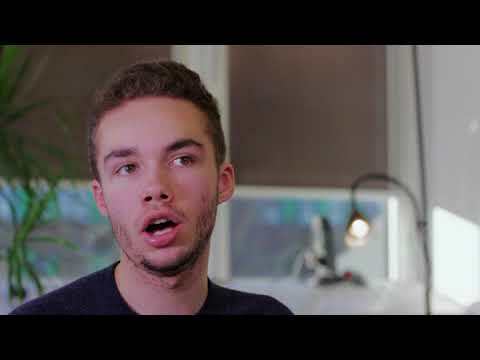 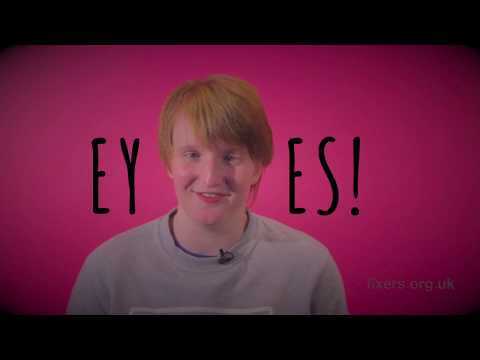 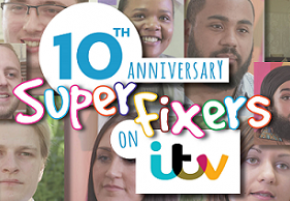 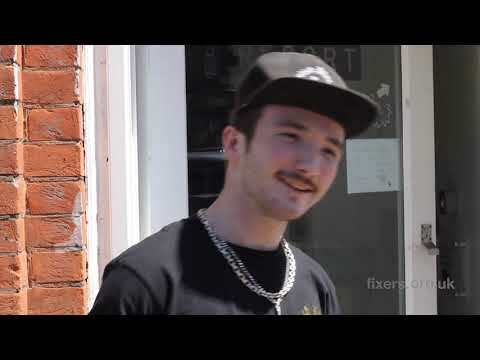 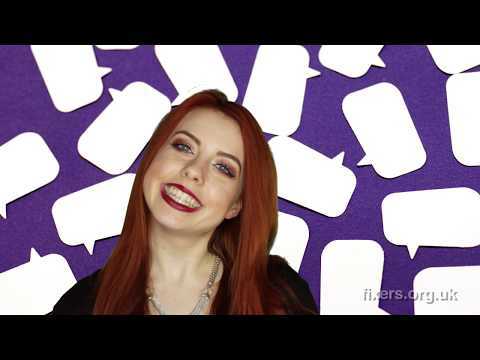 A Fixers film raising awareness about young people's rights in health care. 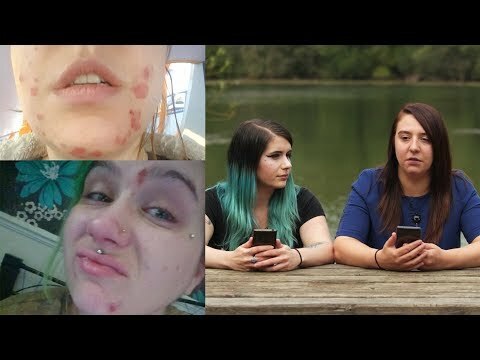 A film about skin conditions. 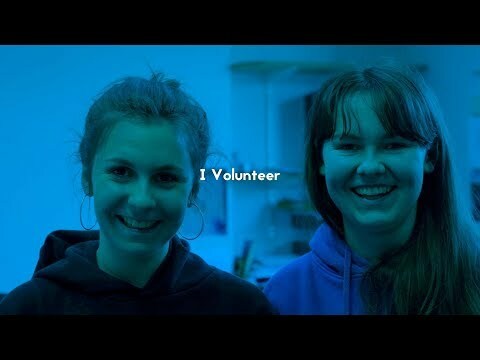 Olivia Rees, 17, from Swansea, wants to show the benefits of volunteering for young people and businesses. 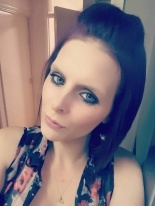 Chezelle Craig, 37, from Croydon, wants to raise awareness of Neonatal Herpes virus after it claimed the life of her son. 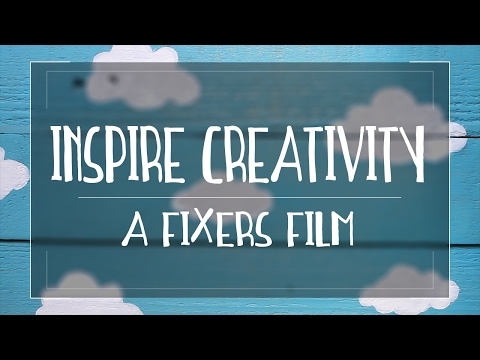 A Fixers film about school pressures. 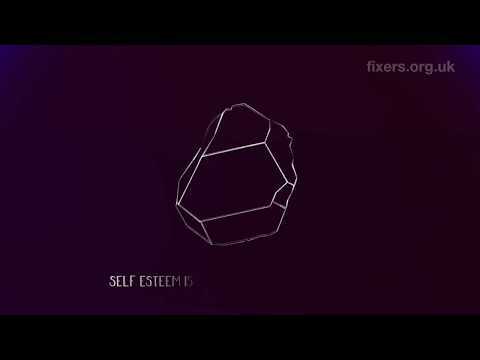 A film about self esteem. 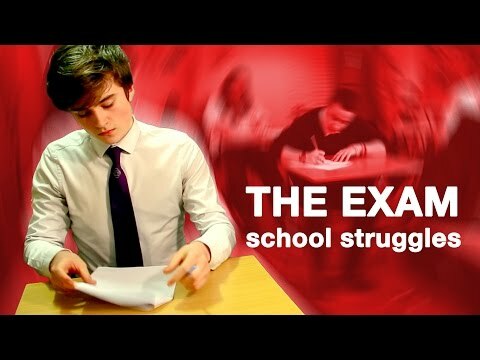 A film about work experience. 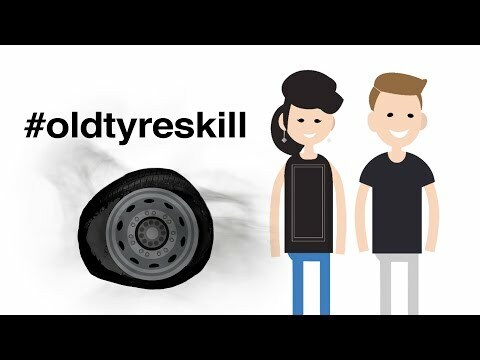 A film about road safety. 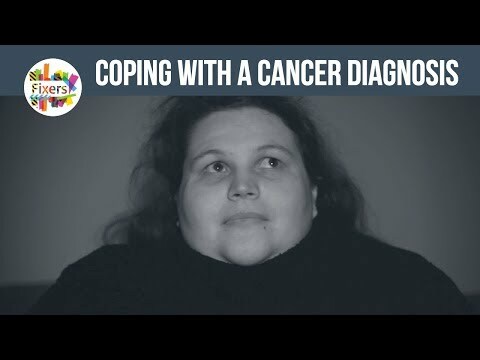 A film about coping with cancer. 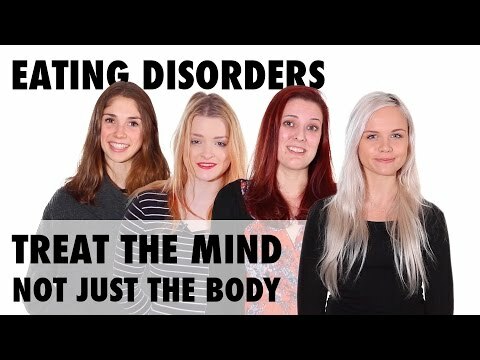 A film about eating disorders. 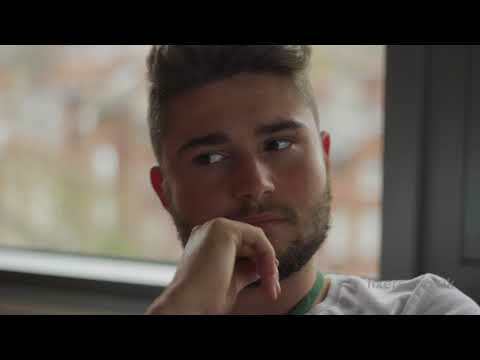 A film about gender stereotypes in sport. 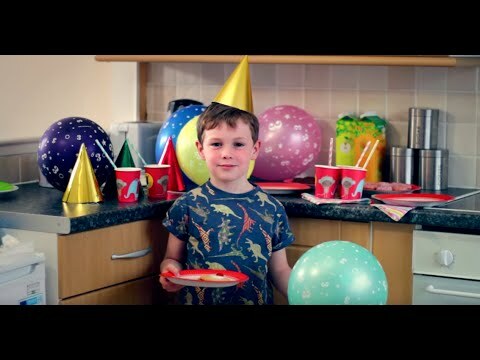 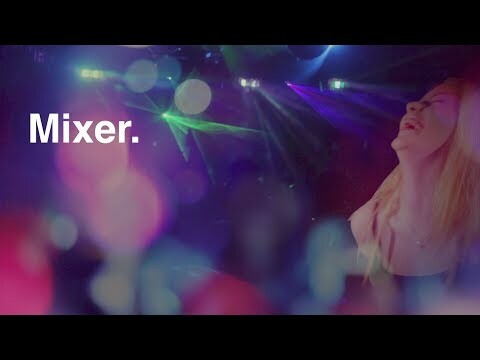 A short film about the dangers of underage drinking. 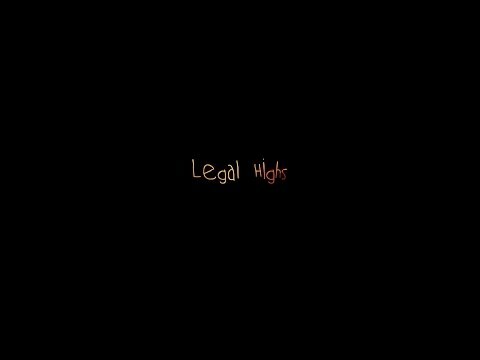 A film about drug and alcohol abuse. 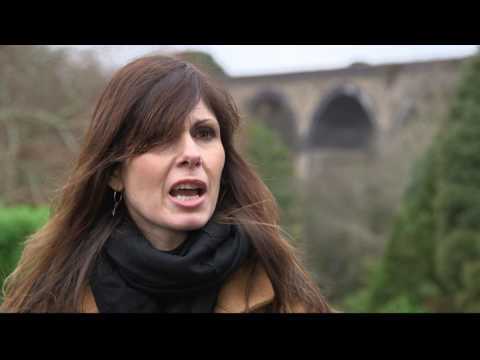 A film about Coeliac Disease. 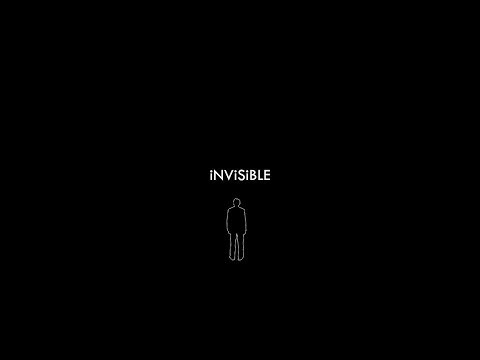 A film about invisible illnesses. 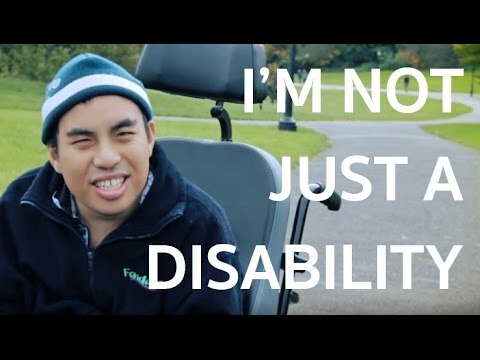 A film about caring for others. 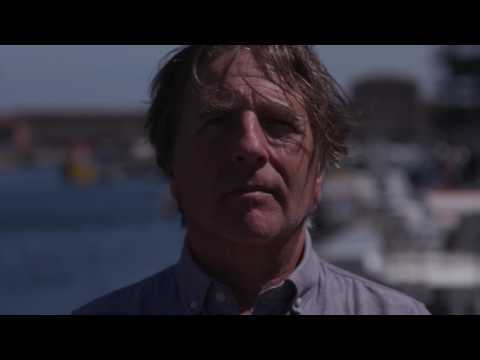 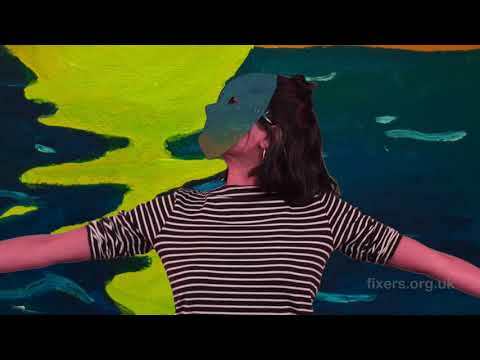 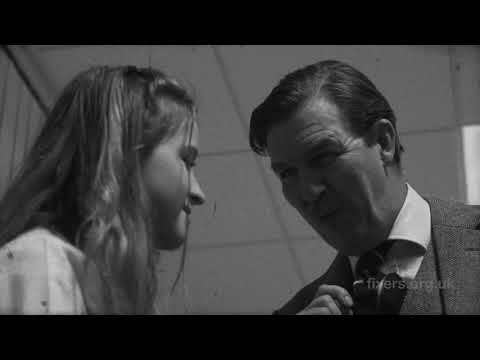 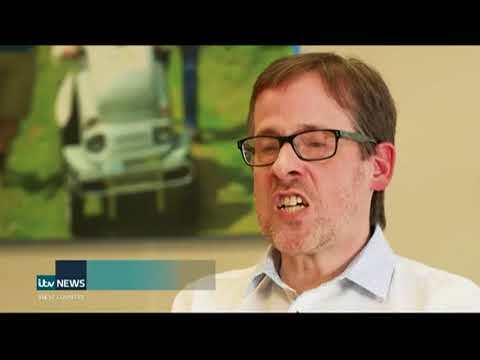 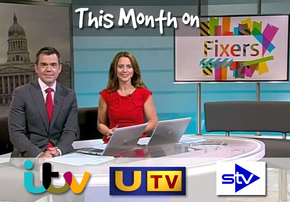 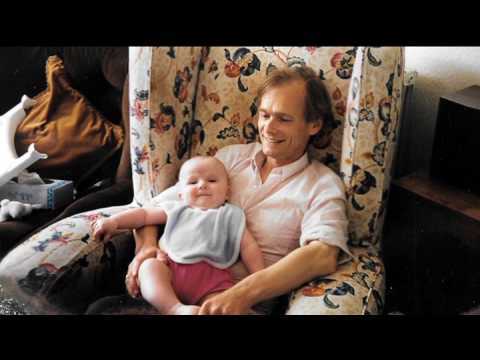 A Fixers film about Multiple Sclerosis. 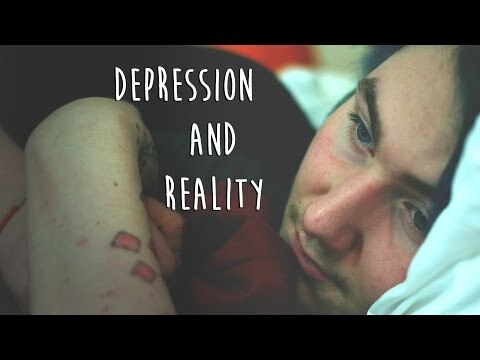 A short film calling on more people to take mental health seriously. 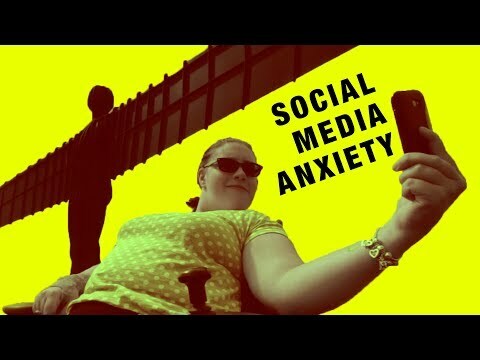 Helping others deal with anxiety. 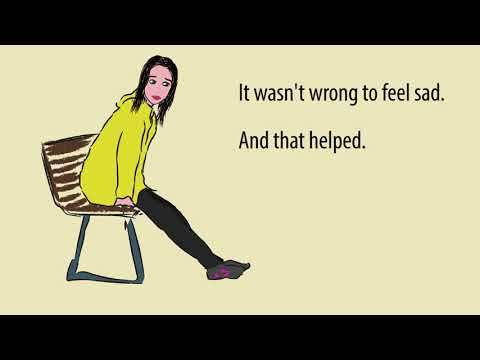 A short film about spotting the signs of abuse. 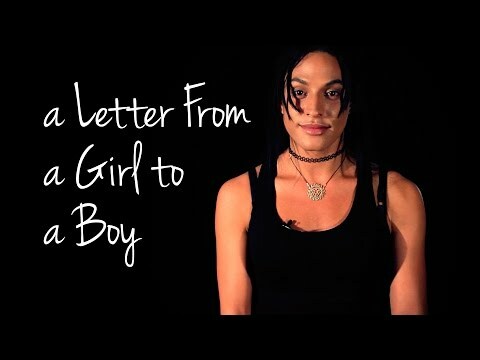 Tackling the stigma of transgender relationships. 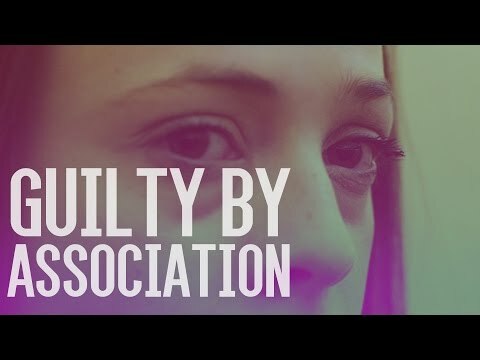 A film about manipulative behaviours. 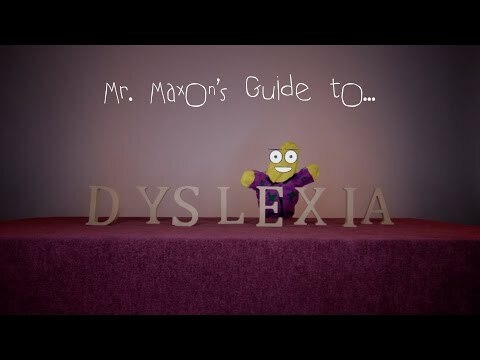 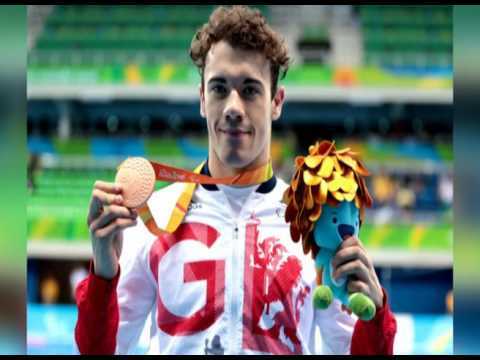 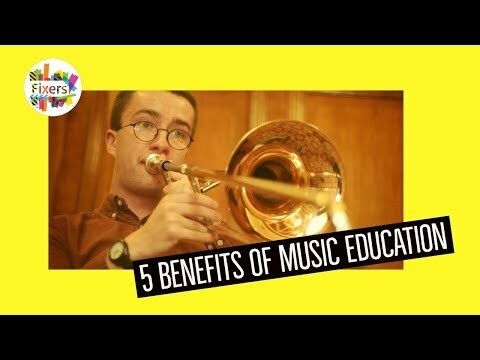 A short film encouraging people with special educational needs to know they can achieve great things. 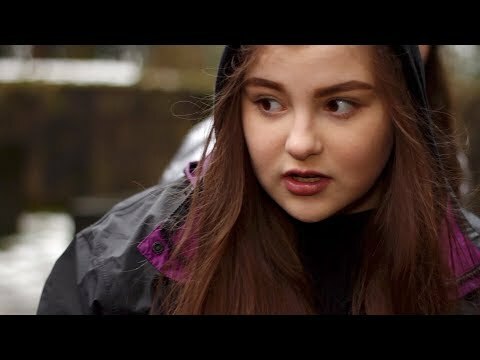 A short film encouraging more young people to talk about mental health. 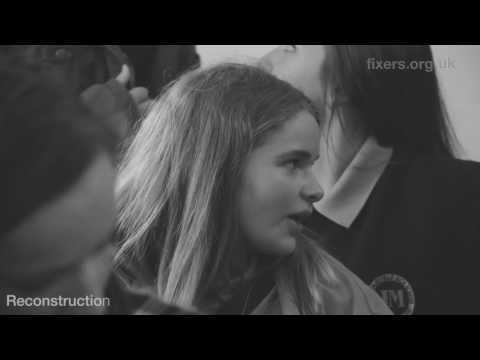 Young people put their heads together to tackle a crisis of confidence. 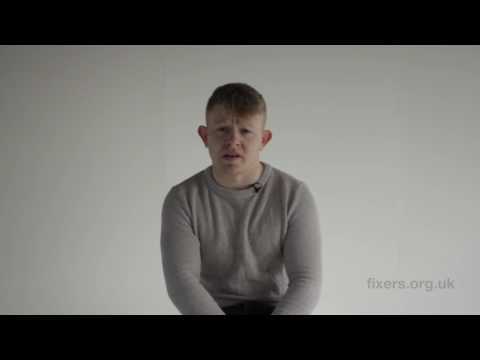 How Fixers campaigns can develop and grow to change lives and society. 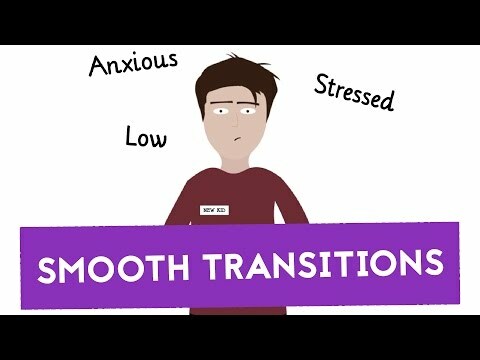 Young people who've struggled with anxiety, seek to smooth the path for others. 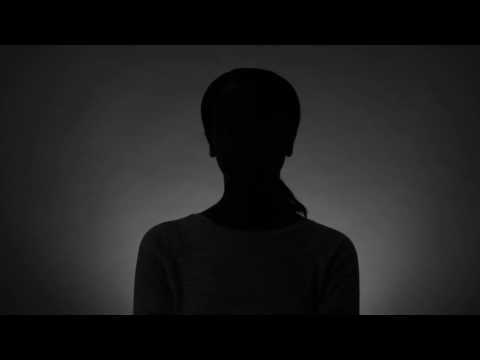 Young people who have been sexually exploited seek to change society. 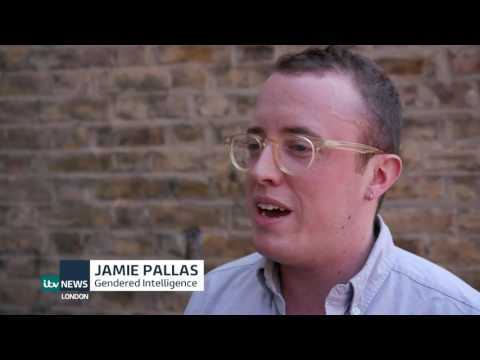 Transgender and gender fluid young people get together. 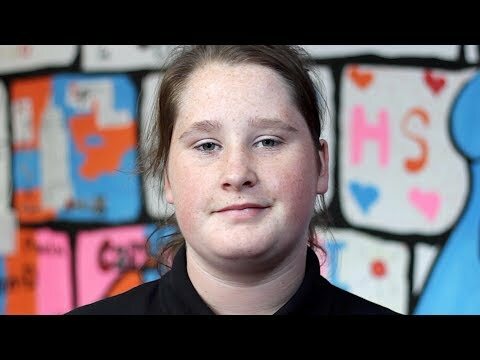 Young people using their tough experiences at school to help others. 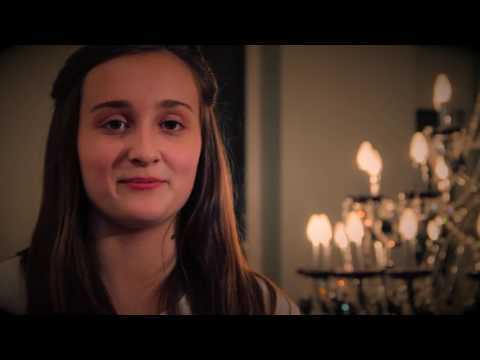 Young people use their experiences of eating disorders to help others. 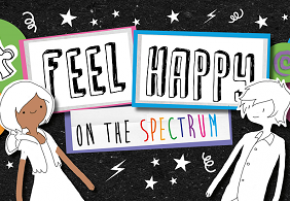 A ground-breaking event on young people’s mental health. 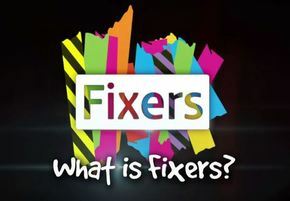 Fixers Win Best Charity Award! 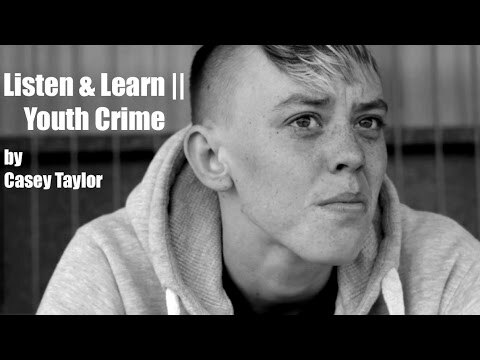 Tackling drink, drugs and crime for young people, parents and professionals.